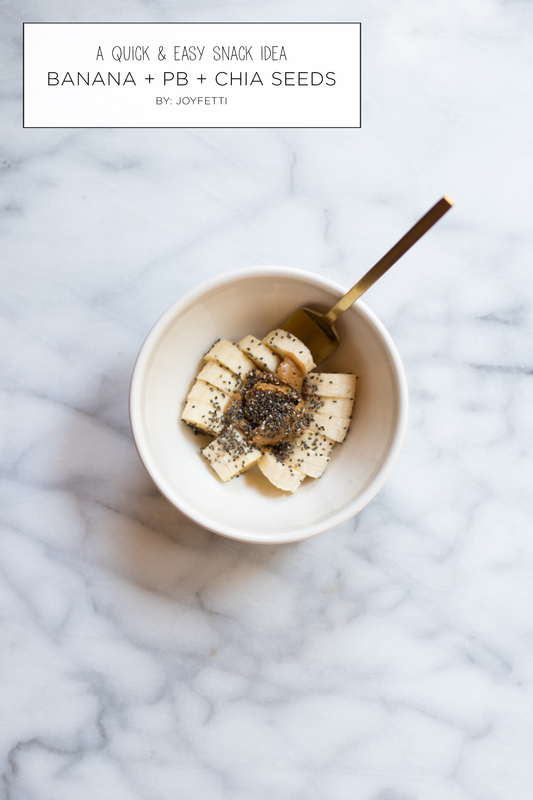 Quick & easy snack idea: banana + peanut butter + chia seeds! YUM! I clearly do not, because I eat it all the time. 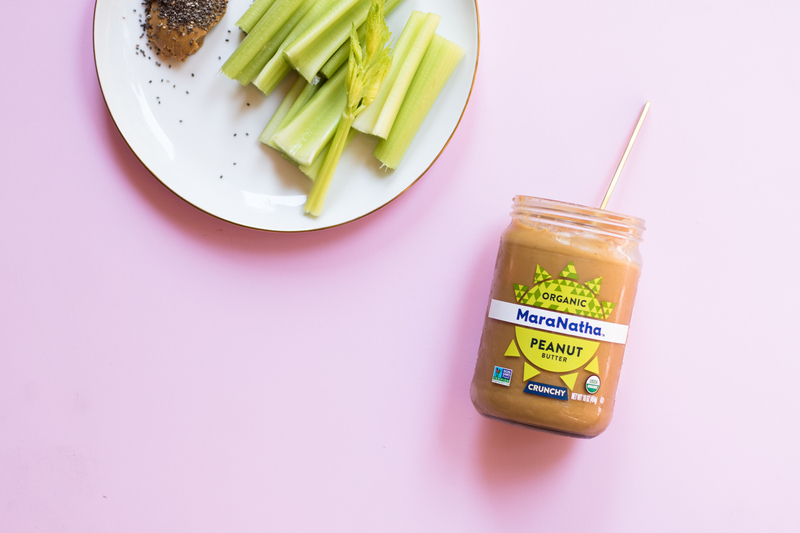 So, we already talked about having celery + peanut butter as a snack (& all the nutrition that comes w/ it)—& my favorite PB brand rn: MaraNatha. P.S. side note… I switched back to the 2-ingredient MaraNatha so I could avoid palm oil. I’ve seen some documentaries around the palm oil controversy & I’d like to avoid palm oil as much as possible because of it. So I’m having this one rn & it’s delicious!!! Its 2 ingredients are organic dry roasted peanuts & sea salt. Super simple. 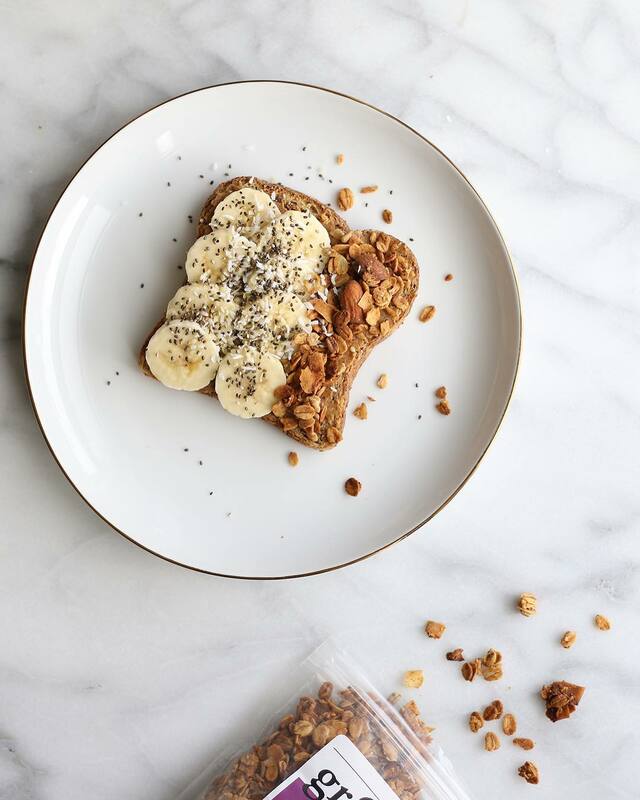 So another way I like to have peanut butter is with a banana & chia seeds. Really simple. 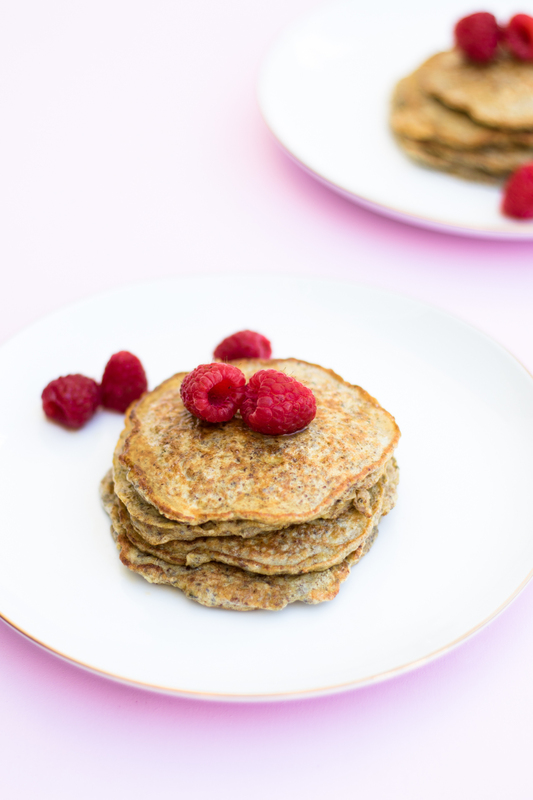 I throw it together super quickly & it’s so yummy! 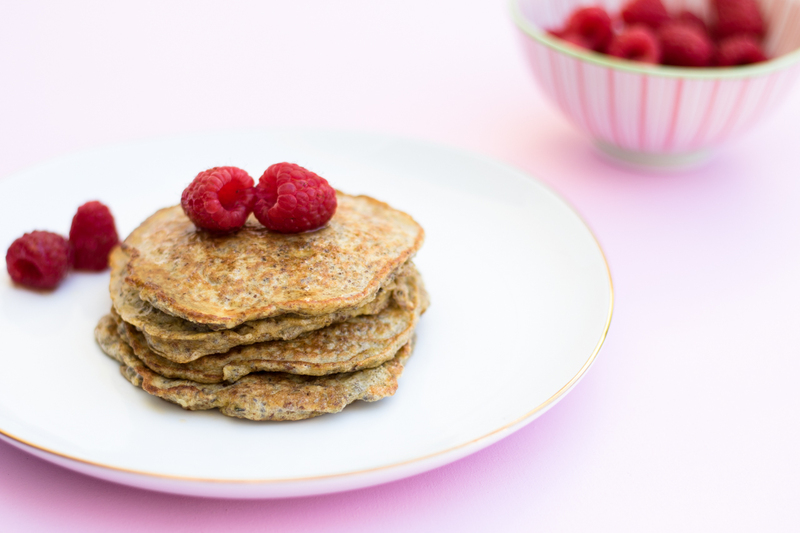 It also provides 3.1g of fiber, which is 12% DV, & some protein (1.3g). Okay, moving on to CHIA SEEDS : ) 1 tablespoon of chia seeds has 4g fiber—that’s 16% DV. YEASS! 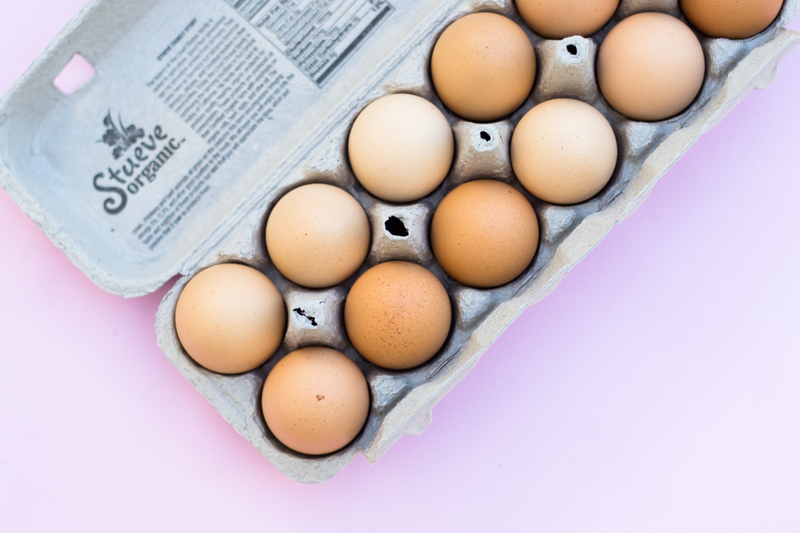 It also provides 3g of protein—to put that in perspective, 1 hard-boiled egg has 6g of protein—& 2,284mg omega-3s (ALA). 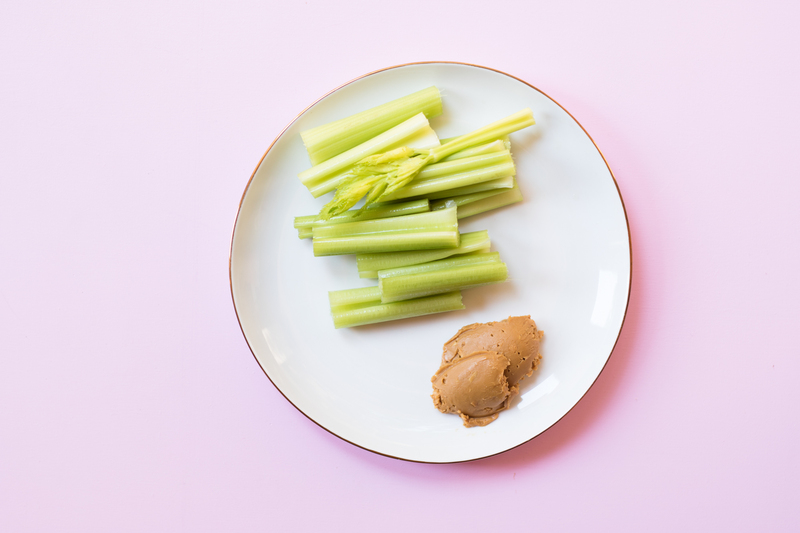 Now for the peanut butter… this could vary depending on your peanut butter, but if you’re using something like the one I’m having rn, 2 tablespoons of peanut butter has 8g of protein & 3g of fiber (9% DV). It also provides healthy fat. So we’ve got vitamins, minerals, fiber, protein, healthy fat, omega-3s + more! 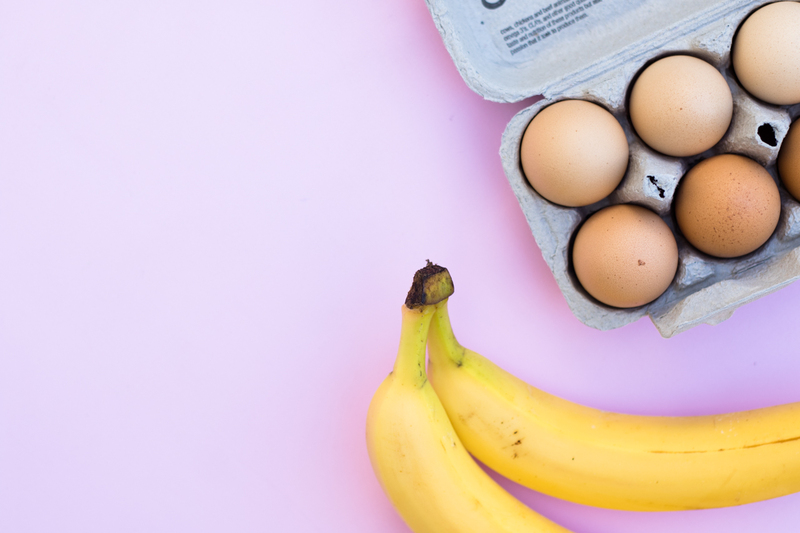 & since the banana is naturally sweet—it’s great when you want something sweet but not a straight up dessert. A couple weeks ago, on Instagram, I asked what kind of recipes you want to see & I heard SNACKS! So I want to share my favorite peanut butter rn & one way I like to have it. 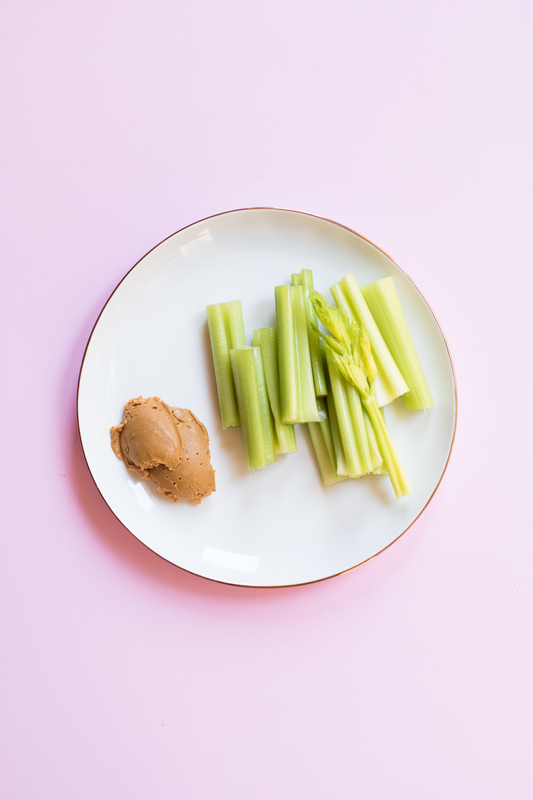 It’s peanut butter & CELERY. Easy is good when I need a quick snack. Don’t you think? It keeps the hangry away. Okay, so why celery? It’s crunchy, it’s fresh & we’ve all heard it’s “negative calories”, right? It’s not actually negative calories, but IT IS very low cal! It also has a bunch of nutrients! 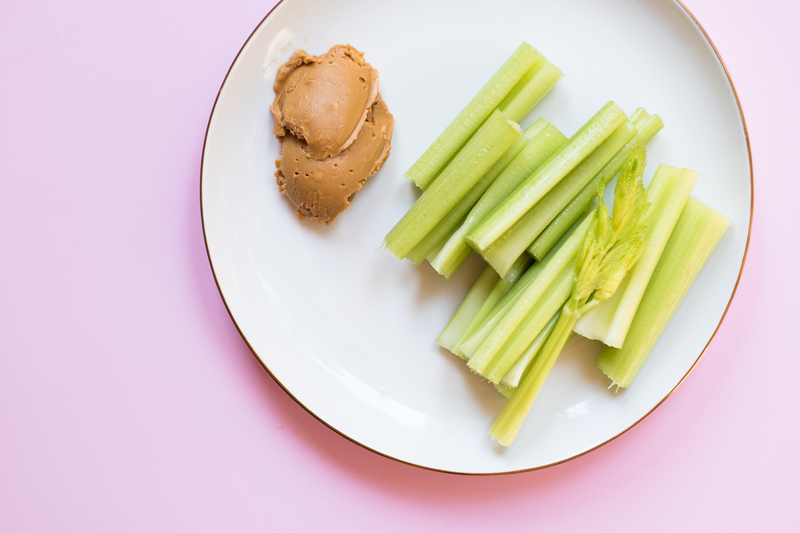 12 4″ (0.1oz) strips of celery is about 7 calories and provides 0.8g fiber. P.S. if you can, buy organic. Celery’s been on the Environmental Working Group’s Dirty Dozen list of produce with the most pesticides for years now. Okay, back to the PB now. YUMMM!! 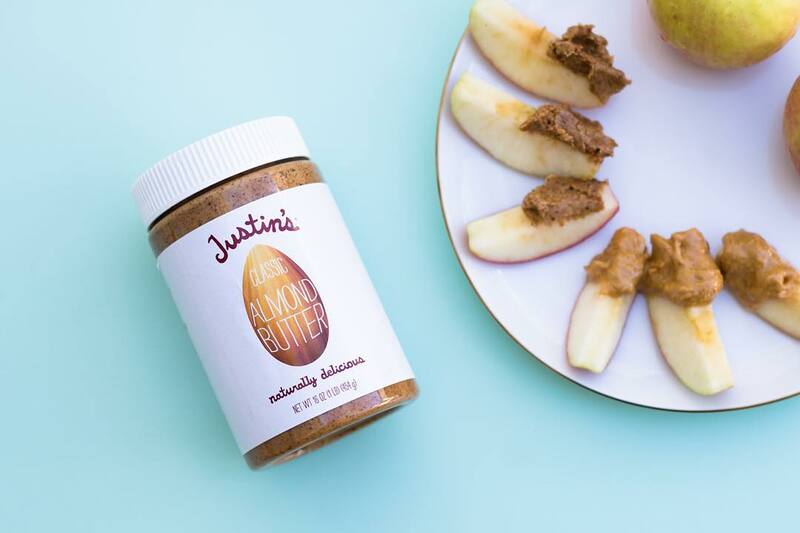 I was having Justin’s almond butter for awhile & then I had this ah-ha moment that it wasn’t organic (I definitely overlooked that!) I’ll admit, sometimes good marketing & branding gets me, and I forget to check the ingredients—I’m human. So I took a look at all the almond butters on the counter at Whole Foods and picked out this MaraNatha one. It has 1 ingredient only: 100% organic raw almonds. LOVE! 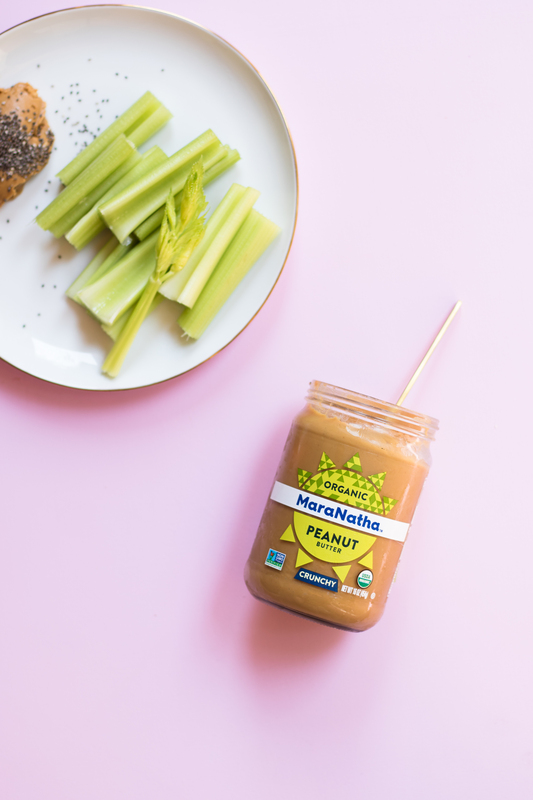 So a couple weeks later, when I wanted PB, I went for the same brand & got this creamy, 2-ingredient peanut butter they also make. Next time, I got this MaraNatha crunchy one—& rushing to get out of the store, I overlooked the fact that it has added sugar. 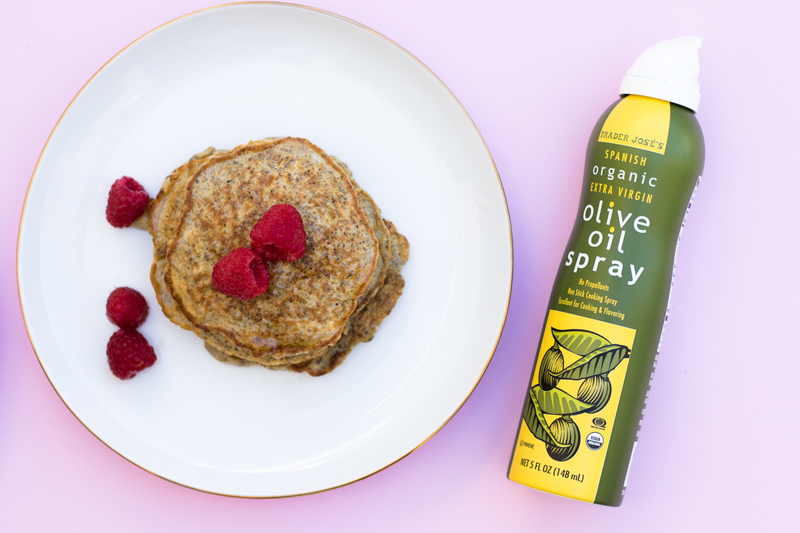 It’s made with: organic peanuts, organic palm oil, organic evaporated cane sugar, sea salt. 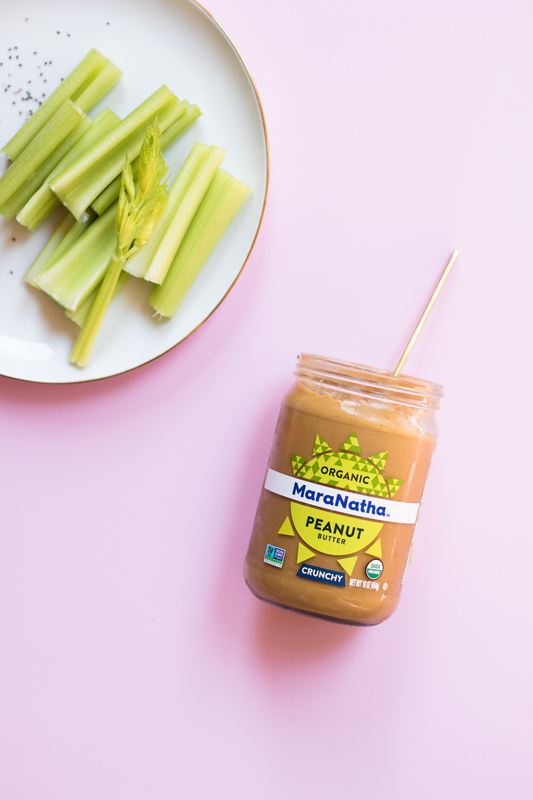 But, back to the PB, again… MaraNatha has this crunchy 2-ingredient peanut butter, which doesn’t have any added sugar, but I don’t think it was on the shelf & I just grabbed this crunchy one & checked out. & honestly, I’m okay with it, at least for now—because IT’S SOOO GOOD, the sugar is USDA certified organic & it’s not that much (it only has 1g of added sugar). & when I have it, I think of it as a treat. The sugar is USDA organic so I know it wasn’t filtered through bone char, which is important to me. If you’re curious—some sugar brands that are not USDA-certified organic use bone char to bleach and filter their cane sugar, which I’m definitely not down for. 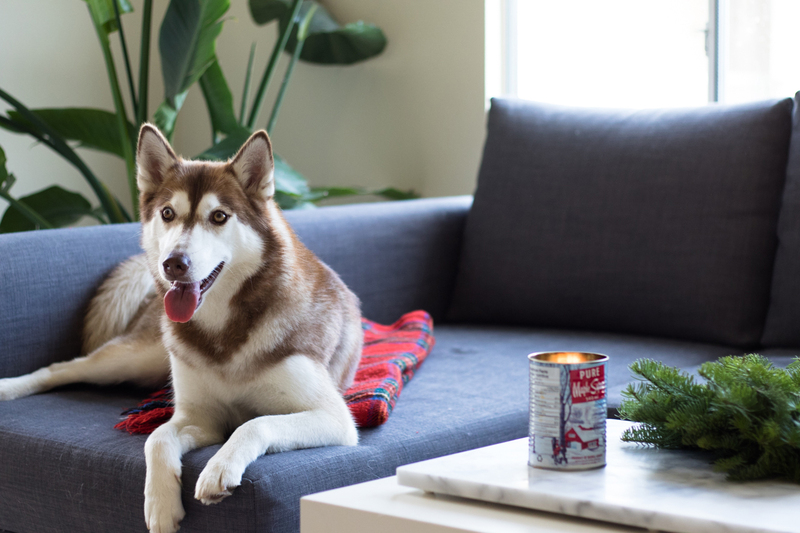 Since bone char isn’t on the National Organic Program National List of Allowed and Prohibited Substances, certified USDA organic sugar can’t be filtered through bone char. THANK GOD! So I’m happy with this PB rn : ) It’s VERY delicious. It also has a ton of protein: 2 tbsp of this PB has 7g of protein (14% DV) + 2g of fiber (8% DV)—& if you’re curious, it’s only 200 calories. And it provides healthy fat. 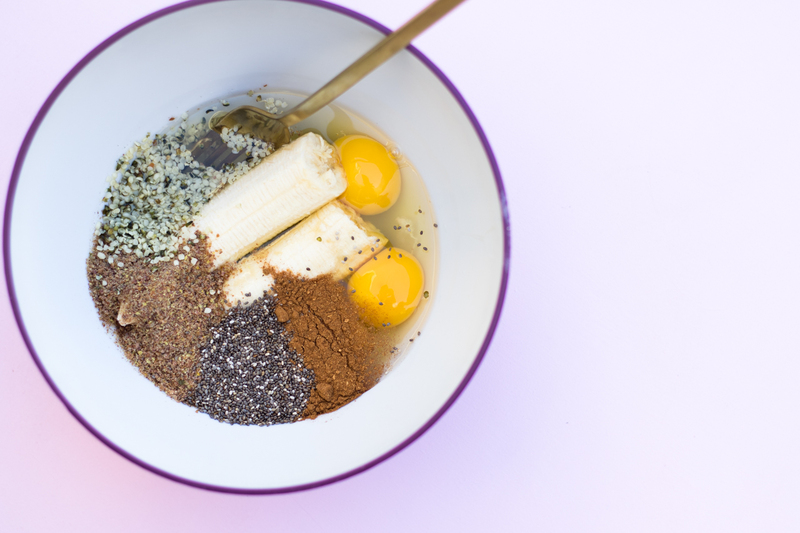 Sometimes, I add chia seeds too, for omega-3s, additional fiber & magnesium, & some more protein. BOOM ; ) Pretty good, right? 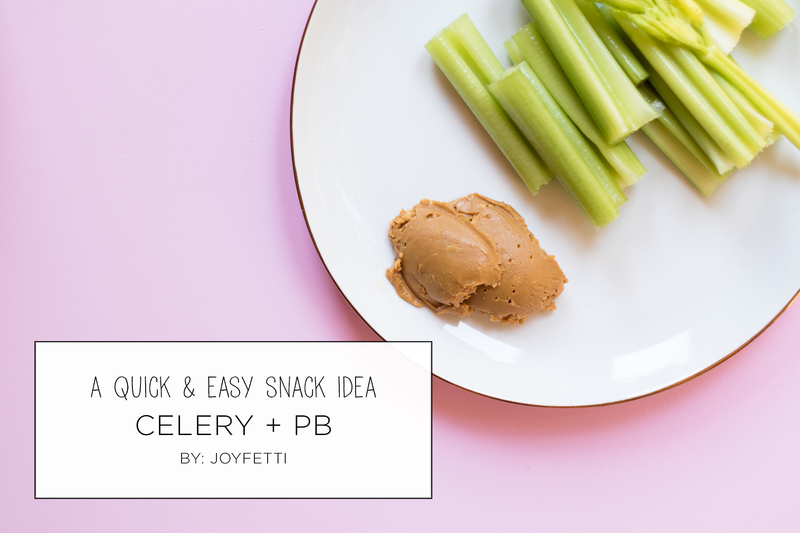 Do you snack on PB & celery? Or maybe PB & apples? 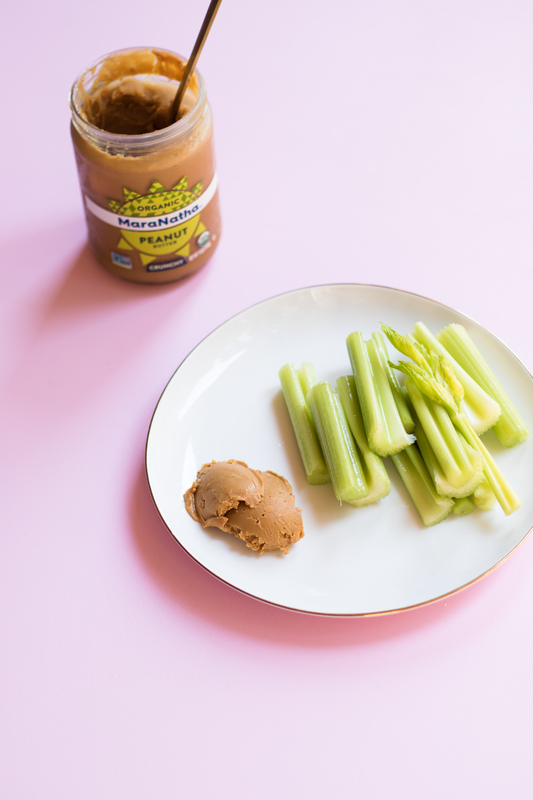 What’s your fave PB rn? 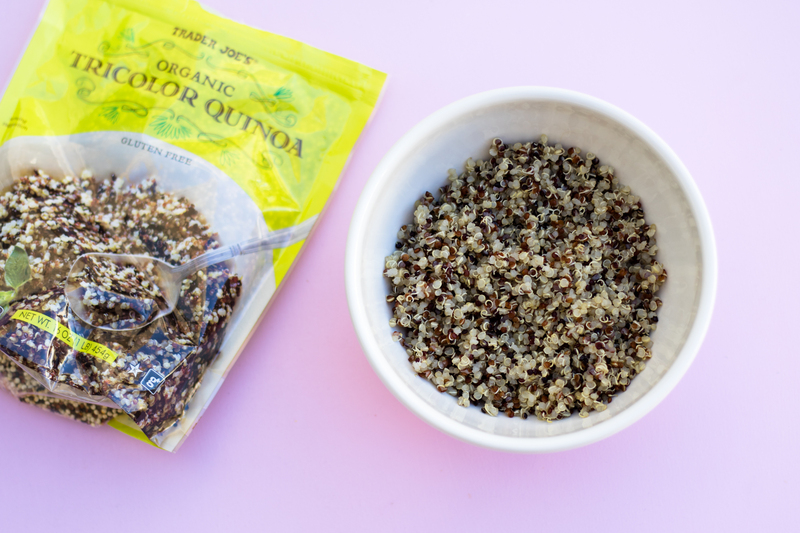 Wondering why quinoa’s a superfood? Let’s dive in! First off, it’s naturally gluten-free. WIN! I love when things are gluten-free because I don’t worry about it irritating my stomach/causing bloat. I’m gluten sensitive, so I still have gluten sometimes, but I try to avoid it as much as possible. It’s also a complete protein. That’s big! A complete protein contains all 9 essential amino acids that our bodies can’t produce on their own & needs to get from our diet. All animal sources of protein are complete proteins, but many plant sources aren’t. 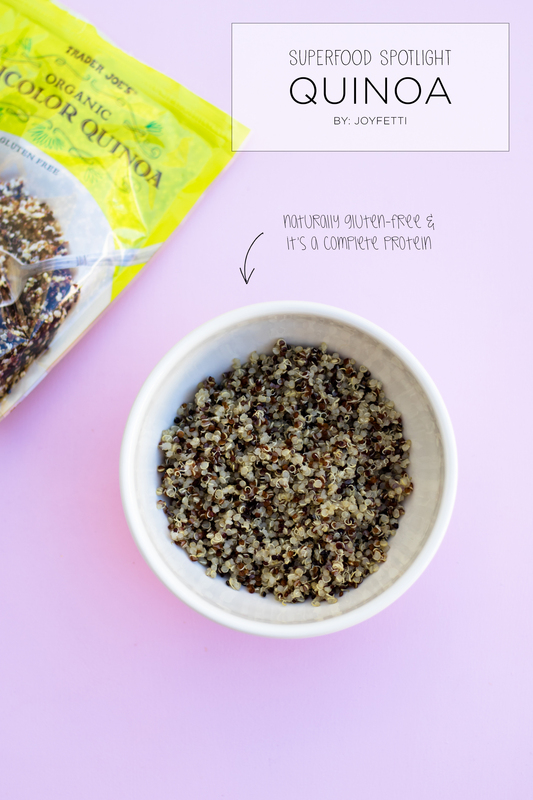 So it’s cool that quinoa is a complete protein. It also provides more protein than most grains. 3/4 cooked quinoa (1/4 cup dry) provides 6g protein while 3/4 cooked white rice contains a 3.2g protein. For context, 1 hard-boiled egg = 6g of protein. 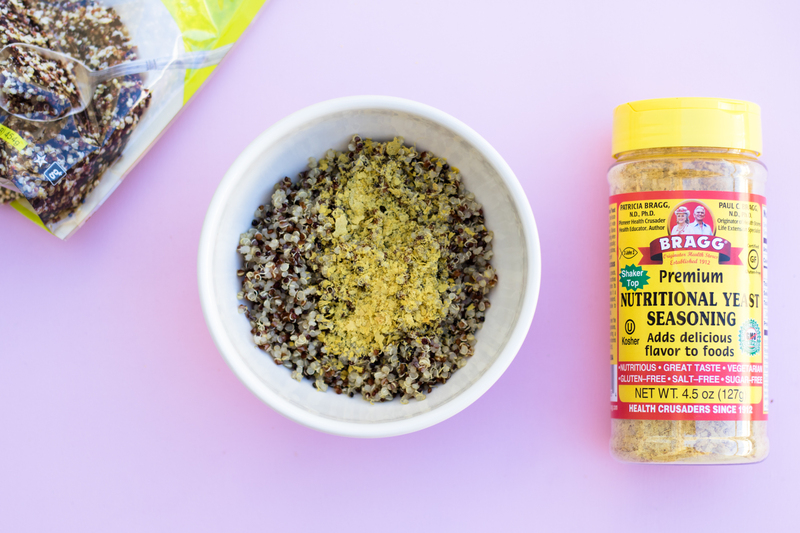 Hemp heeds & nutritional yeast are vegan complete proteins too! It’s also super filling, so it’ll keep you full longer. It’s still pretty high in carbs (30g for 3/4 cup cooked quinoa—10% DV) but at least it’s providing complete protein, fiber & iron, so I’m a fan! I usually get the organic tricolor quinoa from Trader Joe’s. 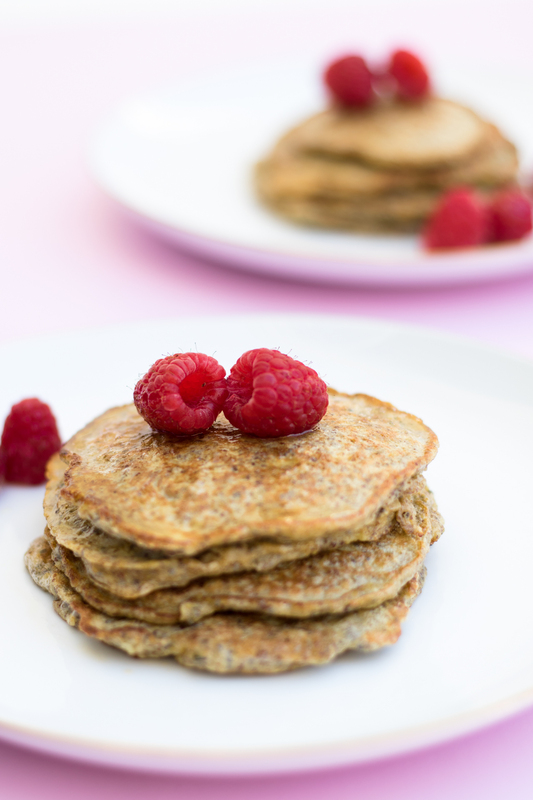 It’s gluten-free, a great source of complete protein & provides fiber & iron. YES, PLEASE. My favorite way to have it is in a quinoa bowl—quinoa + veggies, like sautéed mushrooms, sautéed tomatoes and onions, avocado, and bell peppers—or as a snack with nutritional yeast sprinkled on top (so quick & easy!). Sometimes I’ll add it to salads, too. 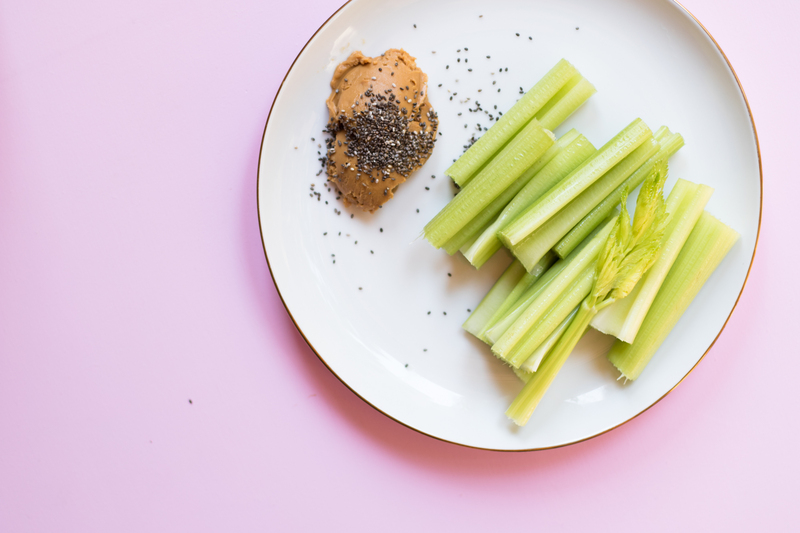 Since you can add it to so many different kinds of meals, I usually make it in bulk so I’ll have leftovers & can keep it in the fridge—that way I can pull it out when I’m hungry to make a quick snack or a quinoa bowl. SO YUM! Remember when we talked about flossing and compared not flossing to not cleaning your private parts? Well, not tongue scraping is kind of like not cleaning your private parts too. Our tongues accumulate bacteria throughout the day, & a tongue scraper helps remove that bacteria. I scrape my tongue twice a day—first thing in the morning when I wake up (before I drink any water), and at night, right before I brush my teeth & floss. It’s become part of my morning & bedtime routine. But it wasn’t always—before I started using a tongue scraper, I use to brush my tongue with my toothbrush. I did this probably since high school or middle school—my sister told me it helps prevent bad breath, so I was 100% on board. Then, I noticed in college, some of my friends had these tongue scrapers that looked like this (I use this one now & love it) & I got curious about them. But… I just kept using my toothbrush to brush my tongue because it was easy. 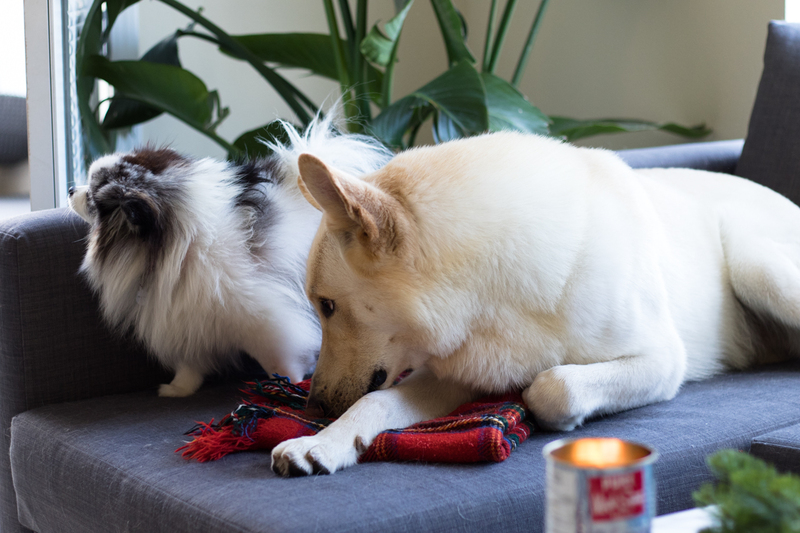 THEN, about 5 months ago, I listened to The Skinny Confidential Him & Her Podcast episode #103 with guest, Sahara Rose, who talked about Ayurveda 101 & tongue scraping & I was SOOO sold on getting a tongue scraper. I’ve been using it everyday for the past 5 months—yes, I’ve missed a few days here and there and let me tell you it felt gross. Once you start tongue scraping, you’ll do it every day/night. It just feels blehh not to. I even travel with it. Before I started using a tongue scraper I always wondered why my tongue was whiter than I expected it to be. EEK. Just talking about it still grosses me out. Well, AH-HA MOMENT. IT WAS BACTERIA. It was VERY satisfying to get so much bacteria off. It still is—because while my tongue is much pinker than it use to be (are you grossed out yet?) 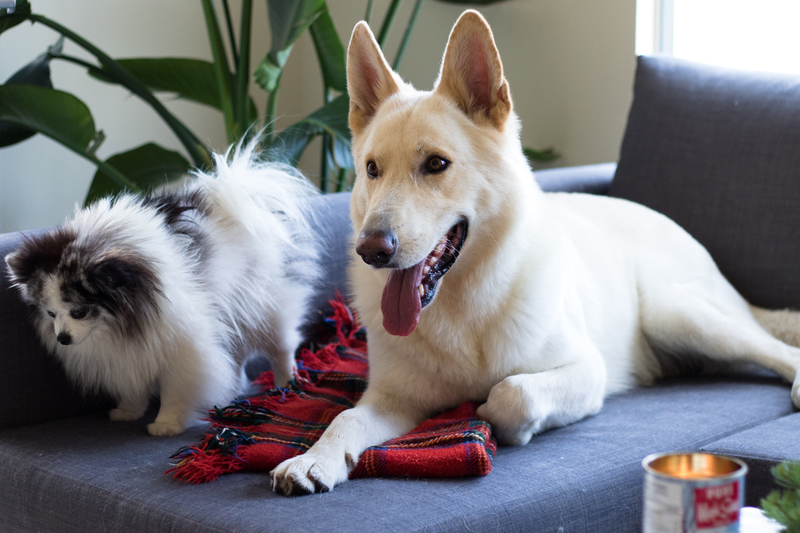 our tongues accumulate bacteria everyday, throughout the day. That’s why it’s so important to scrape our tongues daily—even twice a day: once in the morning, before drinking water (more on that in a sec) & again at night before brushing your teeth. Why should you get a tongue scraper? You can see they’re all related! In the morning, I scrape my tongue before drinking any water or brushing my teeth because I want to remove that bacteria off of my tongue before giving myself another chance to swallow the bacteria. I clean my tongue, then brush my teeth, then drink water. Easy! I recommend getting a surgical grade stainless steel tongue scraper that looks like a “U”. I use this exact one—& it’s amazing! It’s under $10 & comes with 2. The surgical grade stainless steel won’t rust and it’s super easy to clean. I just rinse it with some hand soap after I use it. Now this is the fun part… The REWARDING part! HA! Holding both ends of the “U” with your hands, gently pull the tongue scraper outwards, across the entire surface of your tongue in one motion. Do that a few times to collect the bacteria, & then rinse your tongue scraper. Repeat that a few times, until you’re no longer removing any white coating (FUN!) P.S. before I rinse the tongue scraper, I ALWAYS take a look at all the white yuckiness my tongue scraper pulled off first. IT’S SO REWARDING LOL. Do you do this? When you’re done, rinse your tongue scraper with some hand soap. Easy, done, feels great! PSA: It shouldn’t hurt when you scrape your tongue & your tongue DEFINITELY shouldn’t bleed. Another little tidbit/story, if you’re interested—I was scraping my tongue WAY too hard the first week or two that I started using it. I was on a tongue scraping high! 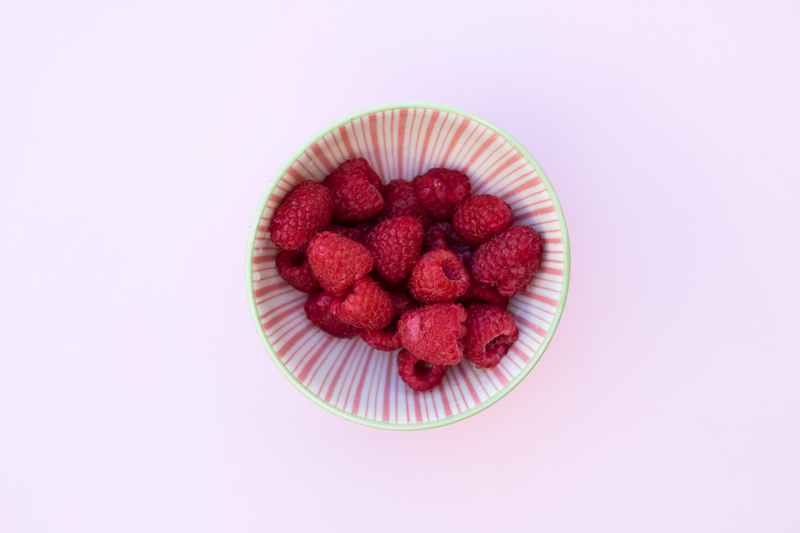 I made my tastebuds bleed that first week or two & eventually my tongue got REALLY sore. For the next few days I gave my tastebuds time to heal by only scraping my tongue super, super lightly, and it quickly healed. I’ve been able to scrape it normally since then. I learned my lesson quickly. So, if you experience something similar—your tongue gets sore or starts bleeding, you might be applying too much pressure too. Just fyi! Tongue scraping should be a fun, painless & rewarding (lol) experience. Also, as a heads up, it doesn’t fit in any of our bathroom cups/accessories (you know those toothbrush holders/tumblers?) so I’ve been keeping it in a huge mug like this one on our bathroom counter. It works! Curious, if you use a tongue scraper already, how do you store yours? Would love to know! This has been such a buzzword lately that people have opened up entire cafes/restaurants centered around the idea—”bone broth bars”. It kind of has a ring to it. 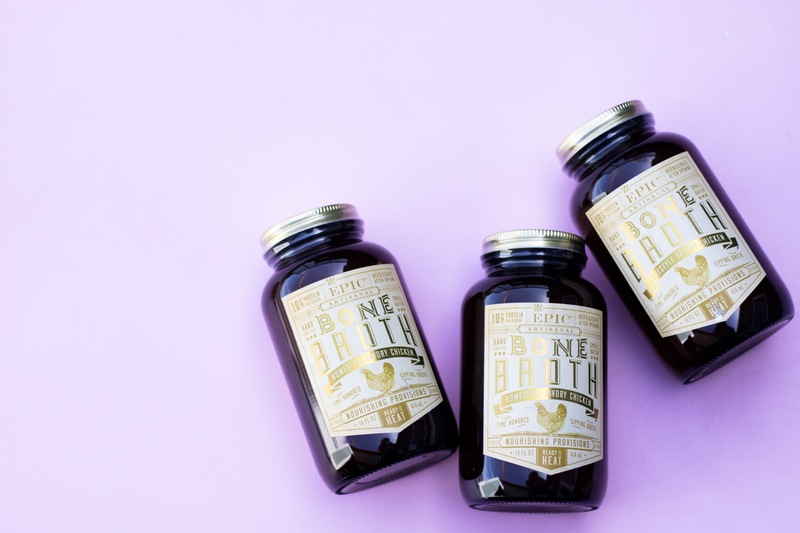 Think about walking to a coffee shop to get a cup of coffee—except you’re walking to a bone broth bar to get a cup of bone broth. Interesting, right? 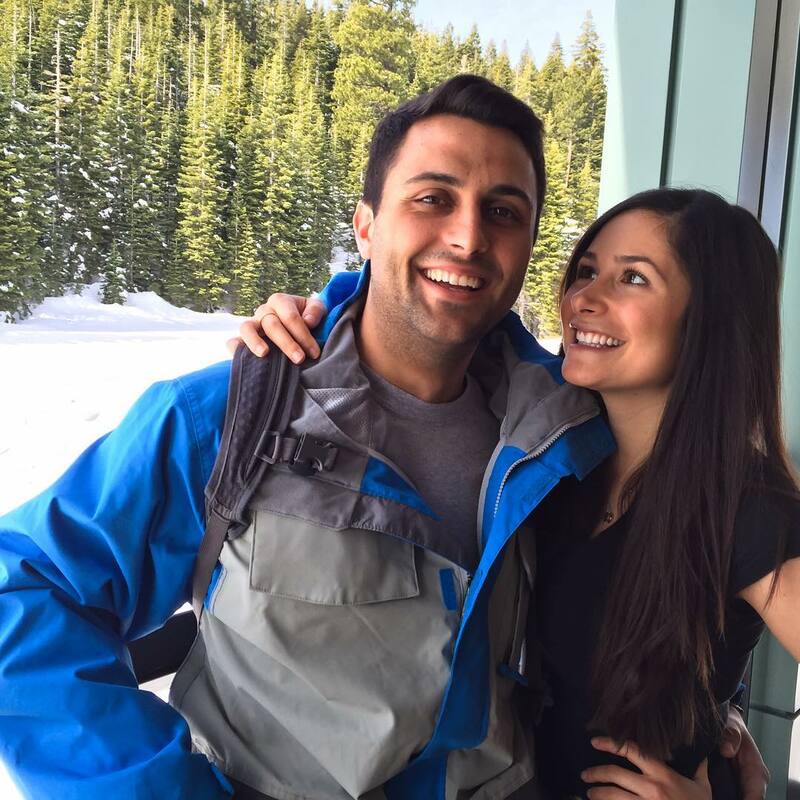 I haven’t been to one yet—I make bone broth at home, but it’s an interesting concept. Have you been to one? Whenever there’s a trend, I’m lightweight skeptical of it. But bone broth isn’t anything new. 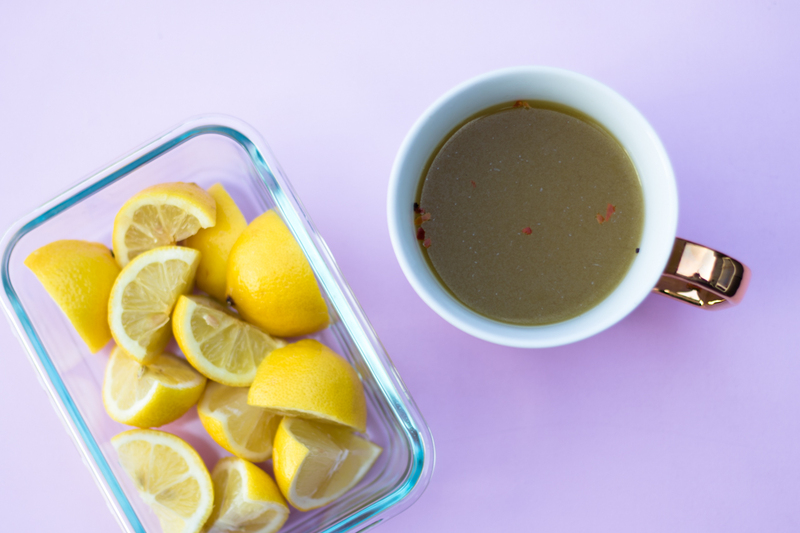 Bone broth is an old-school staple that just got A LOT of attention recently. Growing up, my mom would make us bone broth ALL THE TIME, especially when we were sick. But she never called it bone broth. It was just the way she’d always make us soup. She takes chicken with the bones (usually wings or legs—because she says these have the most flavor, more than breasts), sliced onions, carrots, celery, turmeric, salt and pepper, adds them to a big pot of cold water, and heats it all up on medium-low heat until the chicken’s cooked. Sometimes, she also makes it with chickpeas. Once it’s ready, we eat it just like that, or she’ll add more ingredients—like cooked rice, and koofteh nokhod-chi (which are balls of chickpea flour with ground turkey—kind of like a Persian matzo ball. I think some people also call them “gondi”). Anyways, growing up, this was soup. 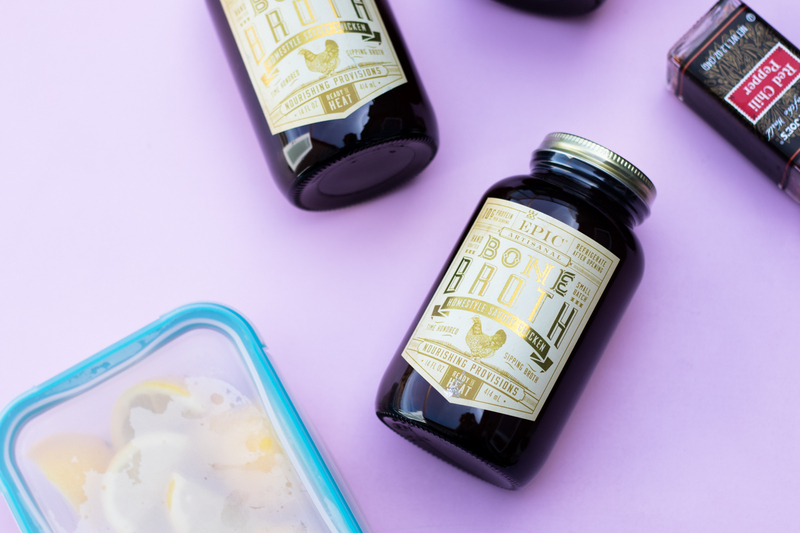 So when bone broth became all the rage in mainstream media about 2 years ago, I wasn’t skeptical about bone broth, but more so the companies that touted it. 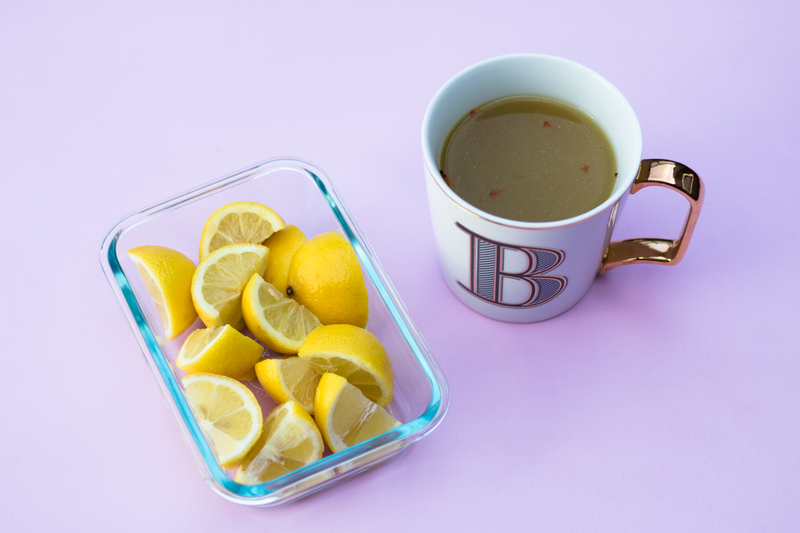 A lot of store-bought “stock” & “broth” aren’t real & they definitely don’t have the benefits of homemade bone broth—they can use lab-produced meat flavors, soup & sauce mixes, and even MSG (monosodium glutamate, which is a flavor enhancer). YUCK. NO THANKS. I don’t have the patience my mom has to make it from scratch, at least not yet, so I wanted to find a bone broth I can trust, that’s easy to heat & ready to eat. Fun news—I found two. I always get chicken bone broth. 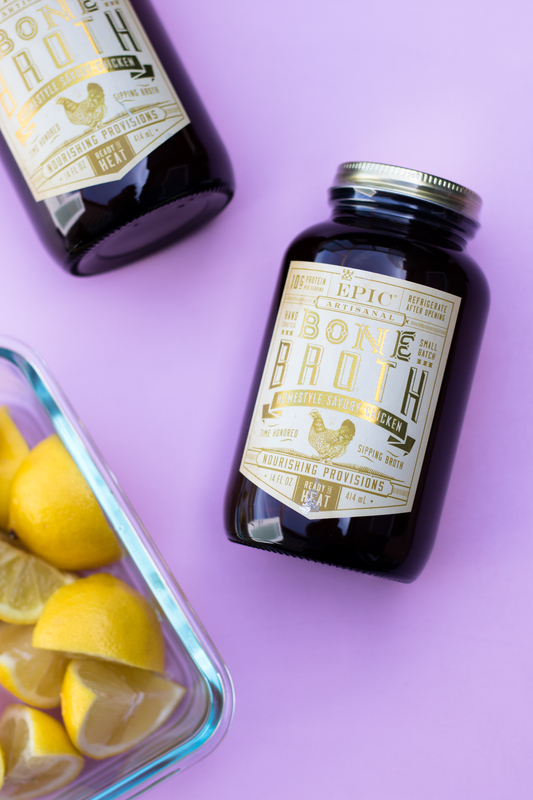 The two brands I like are EPIC bone broth in homestyle savory chicken (it’s made with organic chicken) and Bonafide Provisions organic bone broth made from free range chicken. 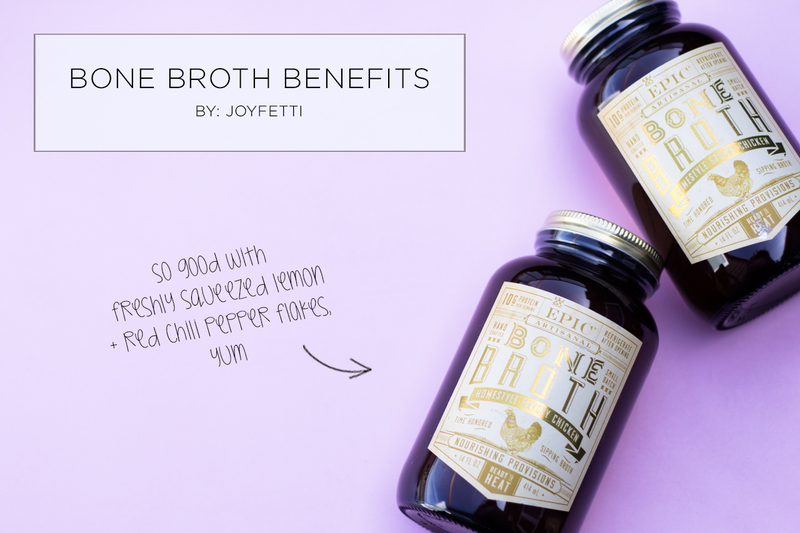 Before we get into the deets of these two, let’s chat about BONE BROTH BENEFITS! Ready? Let’s go! 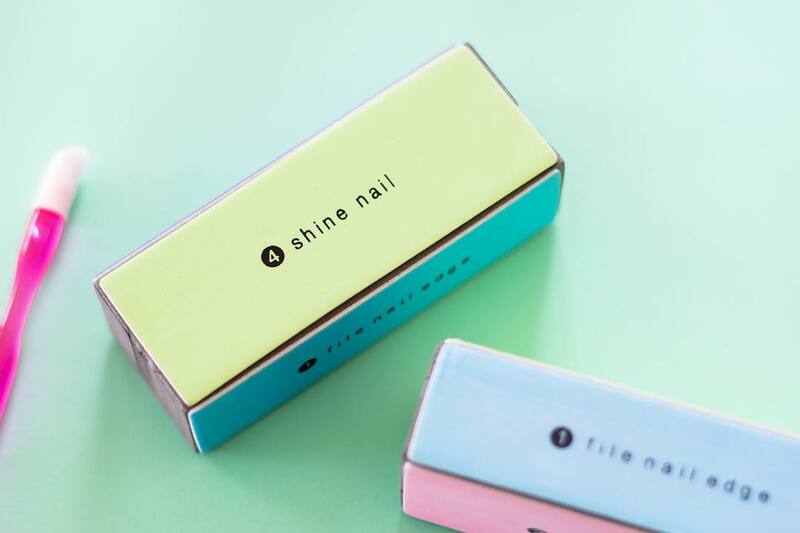 Okay, so if you’re not ready to make it from scratch (hey, I’m not), here are two brands you’ll love. I’ve been having them for the past 2-3 years. This is my go-to for a number of reasons. 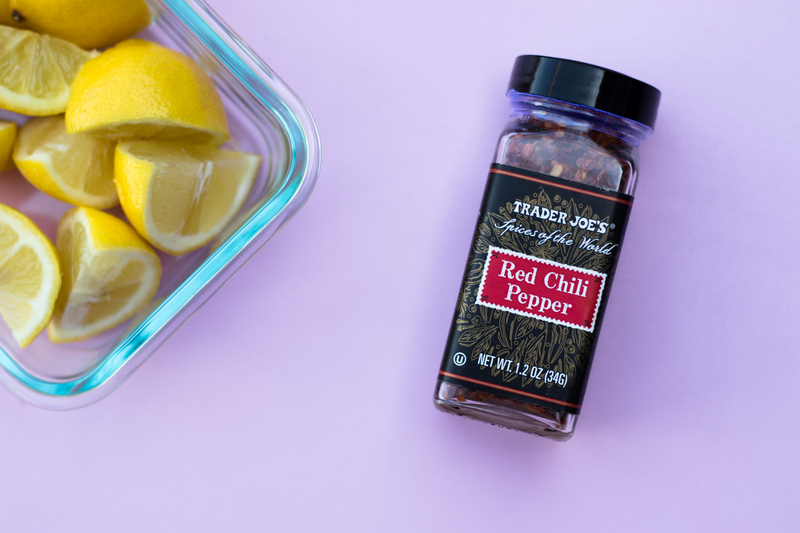 It’s super convenient—the jars are perfect for one person (IMO) so when I make it for myself, I heat up one jar & if I’m heating it up for Arrash & I, I use two. Easy! It’s delicious. Just check out the ingredients—they use the same ingredients as my mom + garlic, apple cider vinegar, & rosemary, so it has a ton of flavor right off the bat. Note: it also has lactic acid & that’s to keep it shelf stable. Ingredients = filtered water, organic chicken, onions, celery, carrots, sea salt, garlic, apple cider vinegar, lactic acid, rosemary, turmeric. I love that this one is more organic. Ingredients = organic chicken broth, organic onion, organic apple cider vinegar, organic garlic, selina brand celtic sea salt, organic parsley. This one comes in a big bag (big-ish, 24 oz vs. EPIC’s 14 oz jars). I keep it in the freezer & defrost it in the fridge the day I’m planing to make it. 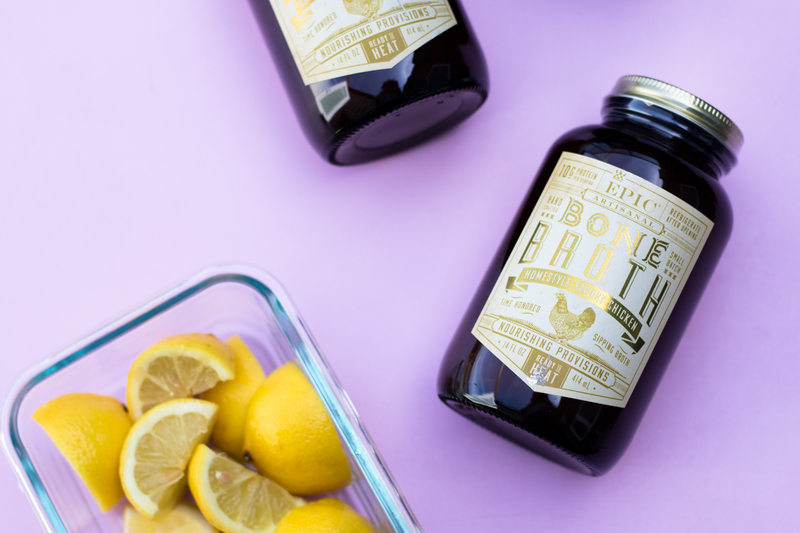 I feel like if you want a quick & easy sipping broth, EPIC is the way to go. If you want bone broth for a base, for a more complex meal you’re making, like udon, Bonafide is a good pick. Bonafide doesn’t have as much flavor as EPIC, so you’ll want to add more seasoning to it than you would to EPIC. When it’s hot, pour it in a mug and sip on it through a stainless steel straw. YUM! IT’S SOOO GOOD! 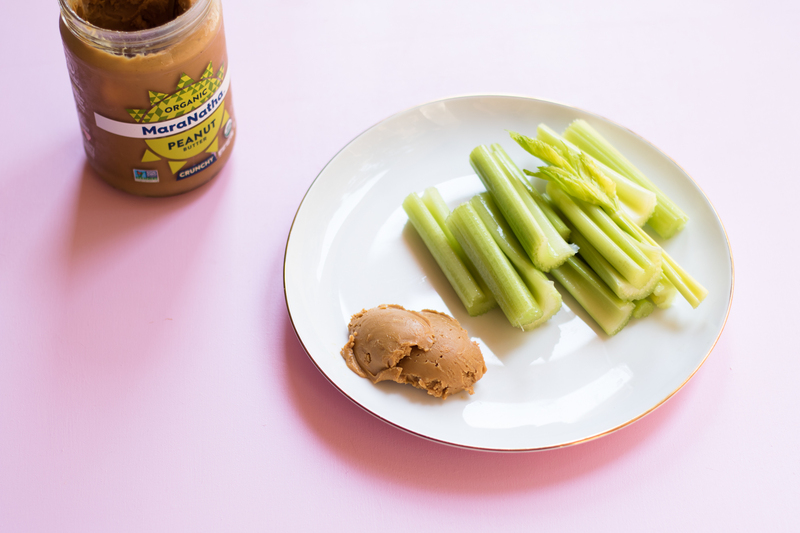 Perfect as a snack, especially after a workout! 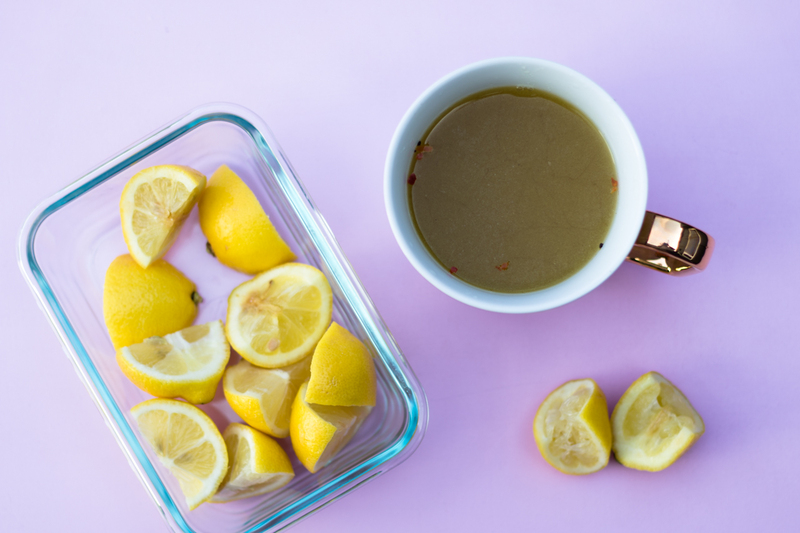 Do you like bone broth? How do you usually have it? What do you want to see more of on the blog—LMK below? 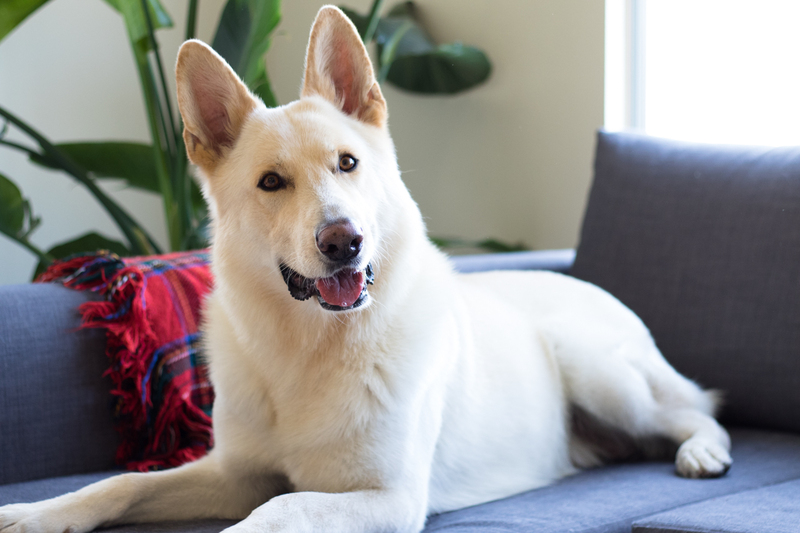 You’re probably thinking fluffy, yummy goodness. BUT, if you’re following any foodie bloggers on IG, you’re probably also thinking NANACAKES. 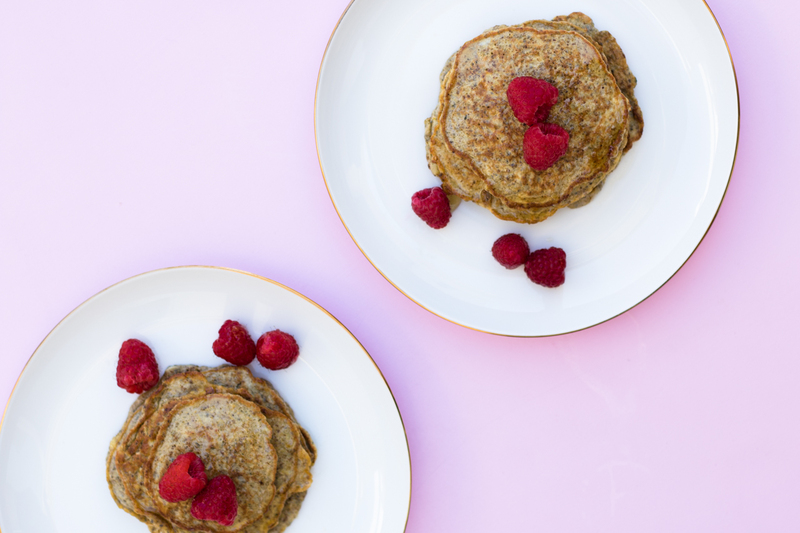 If you haven’t heard of them yet, they’re pancakes made with 2 ingredients: eggs + a banana. No flour. No added sugar. Super simple. 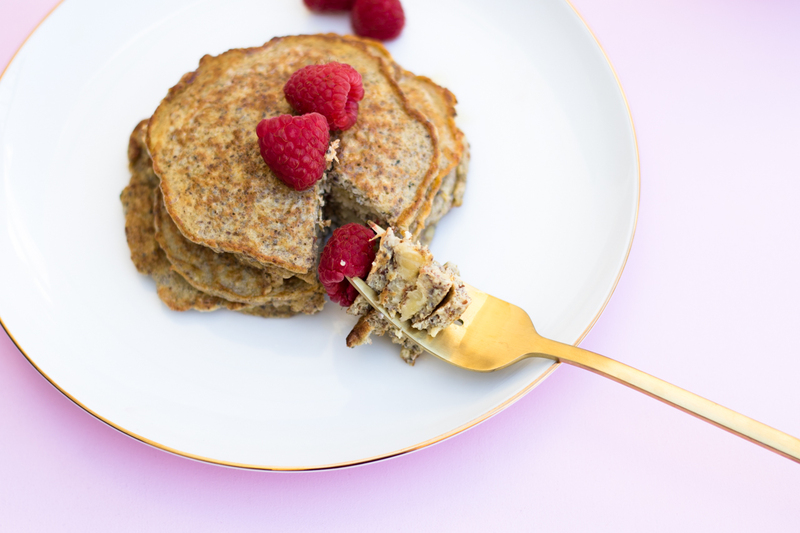 These are next level nanacakes (LOL!). 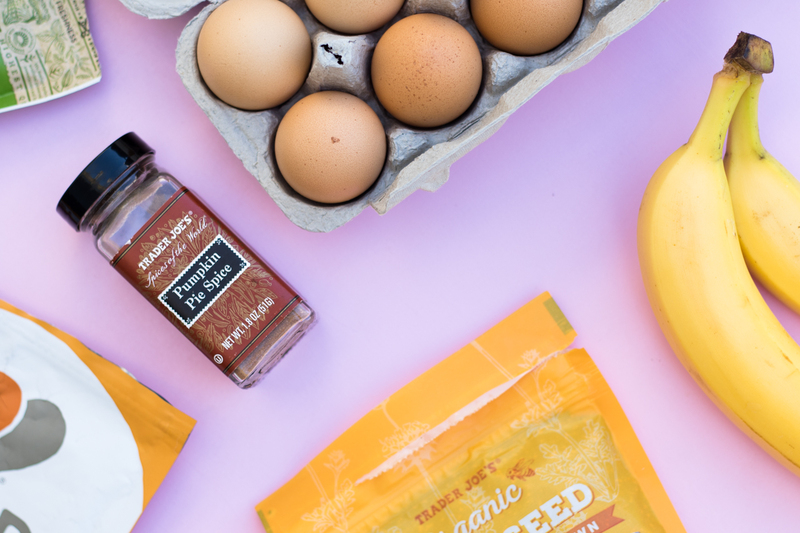 Think nanacakes + extra protein + extra fiber + omega 3s + a bunch more flavor—& they’re just as quick to throw together as your 2-ingredient nanacakes. 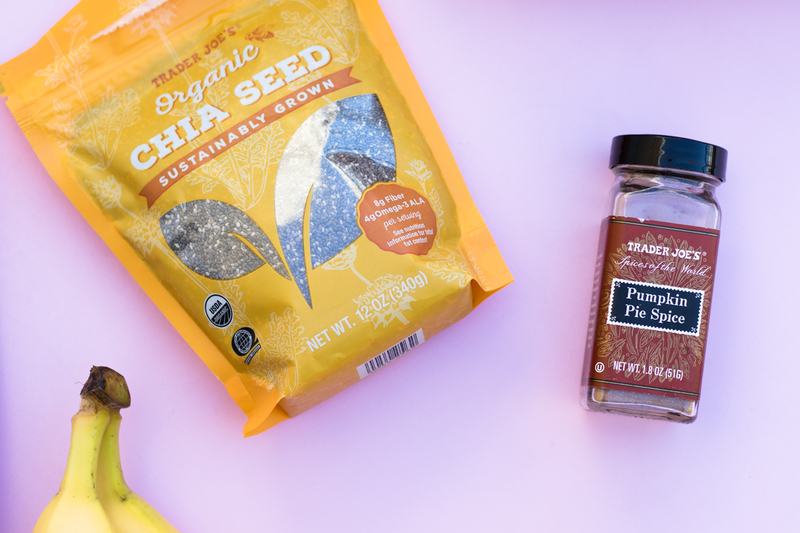 The chia seeds & ground flax seeds provide omega-3s, fiber, & magnesium. 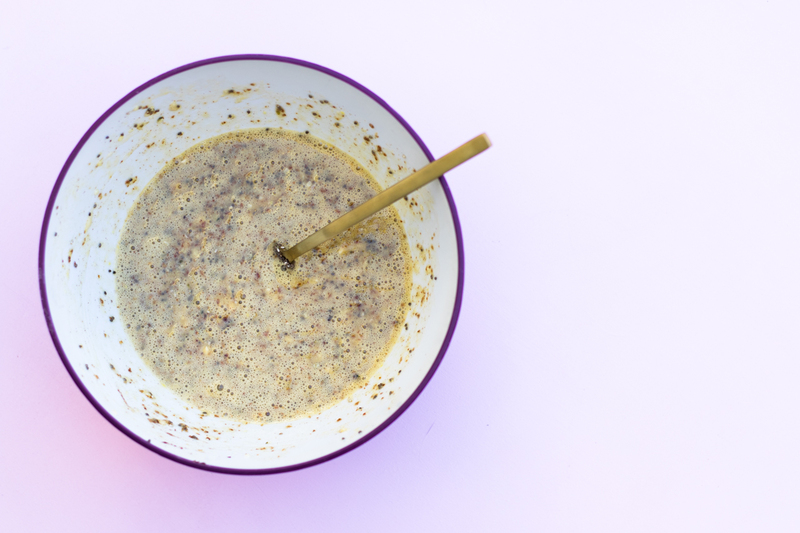 Plus, the ground flax seeds help thicken the batter kind of like how flour would if we were using it—so I pour in a BUNCH of ground flax seeds. 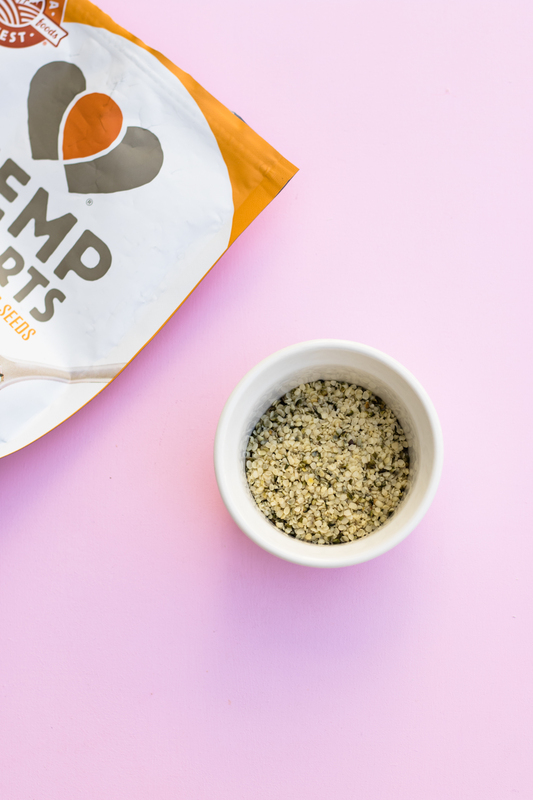 The hemp seeds provide a ton of additional protein, fiber, magnesium & iron—plus hemp seeds have a yummy, nutty flavor that I love. I get these. Since I usually make a bunch and only 3-4 fit in my skillet at a time, I usually spray the skillet (again, liberally) once or twice more while making all of them. I spray the skillet between each batch so the 2nd, 3rd, etc batches don’t stick to the pan. Let me know if that makes sense or if you have any questions! I also love topping them with some honey and fresh berries, & some more pumpkin pie spice/cinnamon. SOOO GOOD. I make these alllll the time during the weekends. Give it a try & LMK what you think. 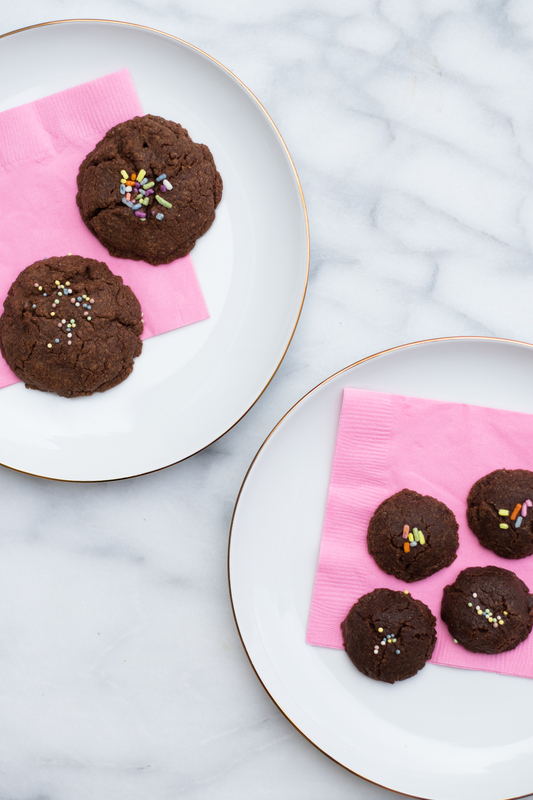 Oh, & you can get creative with it too—add cocoa nibs, chocolate, whatever you want. Mix it up. Have fun with it. Hey, hey! Happy 2018! How was your NYE? We had a really fun night at our friends’ place in SF with tons of apps, a taco bar, & lots of drinks. LOTS of them. Yesterday was rough, to say the least. For some reason I have this weird, completely bizarre feeling that winter ends when January starts, which is definitely not accurate. Lol we’re barely 2 weeks into winter. & I’m curled up under a huge throw right now, eating soup. 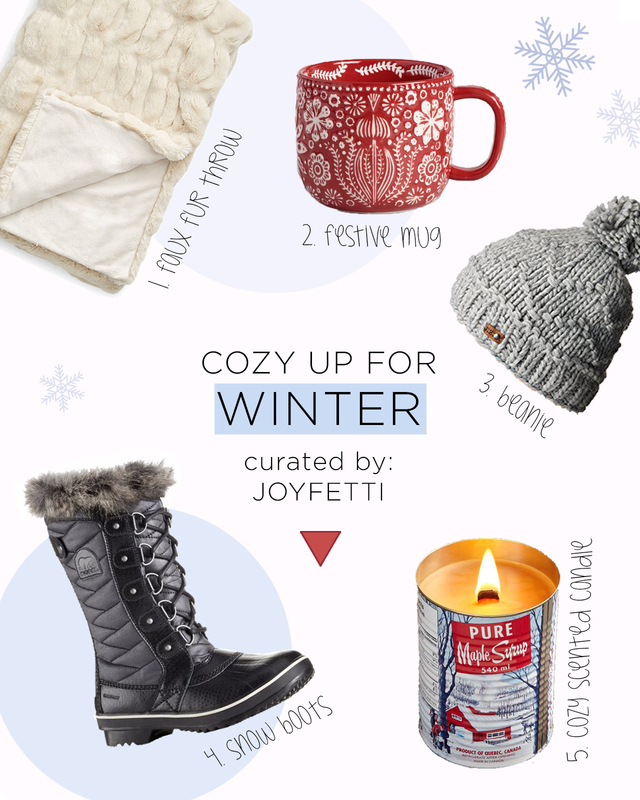 So here are some cool finds that’ll definitely keep you cozy through winter. A mug is definitely a winter staple. I’ve been very into tea lately—I love winding down with it at night. Oh & I use this straw, to prevent staining on my teeth. Another winter staple, that’ll definitely help you stay warm, especially if you’re going on a ski trip: a beanie. This one is super cute. 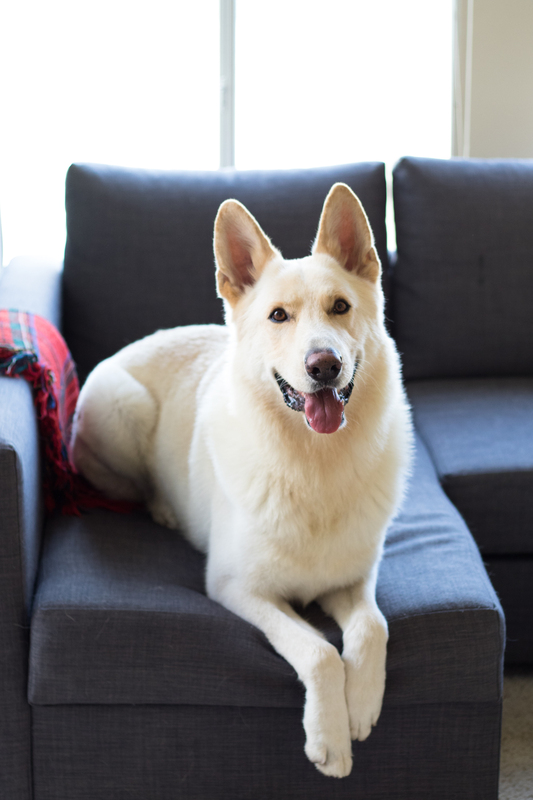 Same with this white one. SNOW BOOTS!! This first time I went to Tahoe with Arrash I noticed these boots everywhere (& they look so cute in an outfit) so I googled them & found them online. 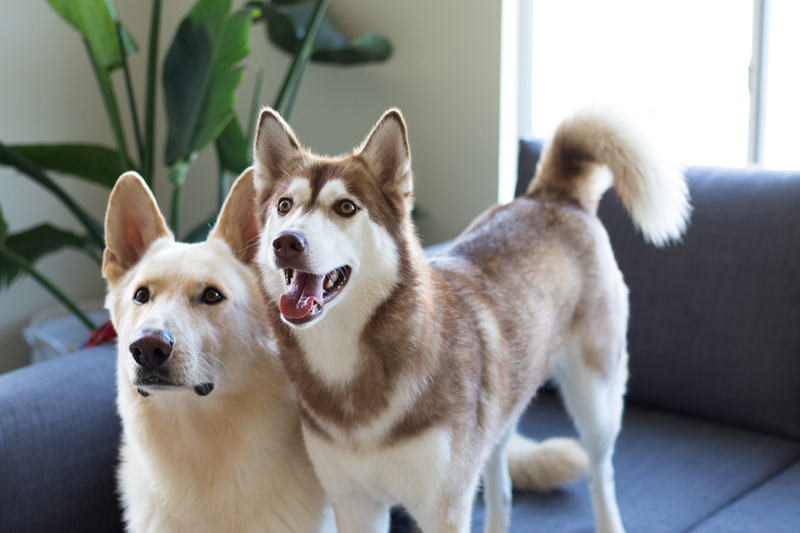 This pair is super cute! P.S. talking about shoes… These slippers **heart eye emoji** I’m totally eyeing these. Don’t they just scream comfort? 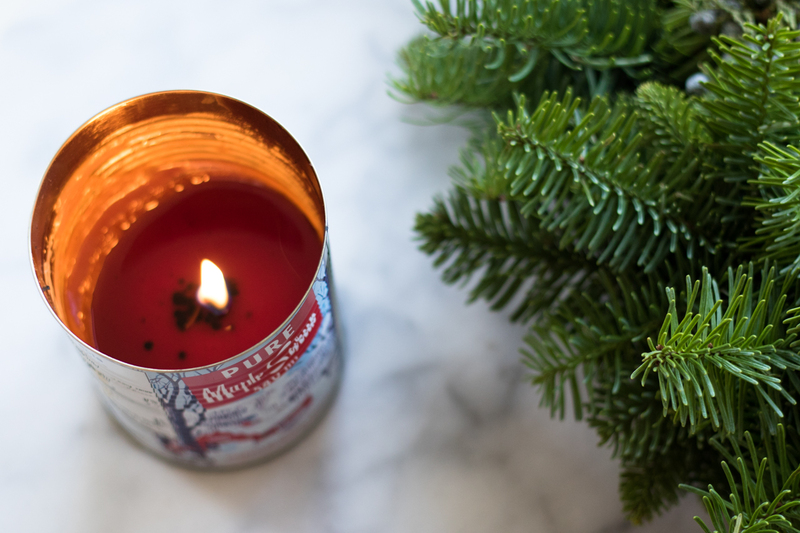 I picked up this candle at Whole Foods before the holidays and I’m absolutely OBSESSED with it. It has a super cozy feel to it. Remember these Nutella stuffed Nutella cookies? 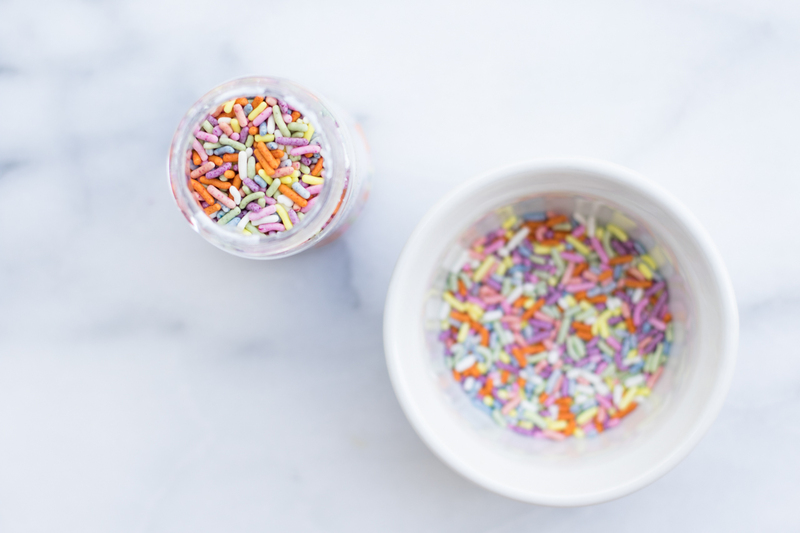 This time, I was even more excited to share them with my friends & family because I FINALLY used sprinkles that are free of artificial colors. Yup, NO ARTIFICIAL COLORS. None, nada! 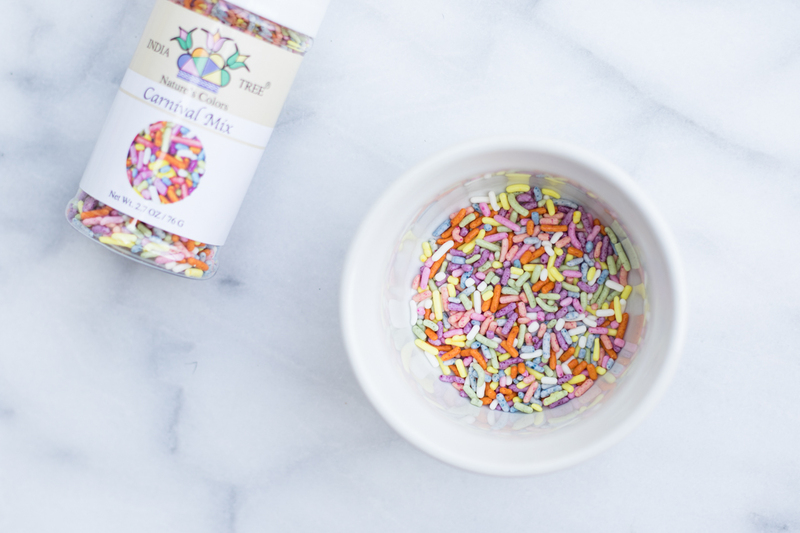 I honestly don’t know why it took me so long to realize I could find these sprinkles so easily. One of the things I like about shopping at Whole Foods, is right off the bat I know everything in there is free of artificial colors (among other things—deets here). I still check the ingredients on everything (so important) but it’s nice to know that at the very least things like artificial colors & high fructose corn syrup, EEK, aren’t in any of the products I might be buying. Anyways, I bought these at Whole Foods but you can also get them on Amazon. & P.S. they have A WHOLE BUNCH of really fun options on Amazon—like these white snowflakes & peppermint crunch sprinkles that are perfect for the holidays/winter & these super cute heart sprinkles I really want for Valentine’s Day baking. You can see the colors are still bright & cheerful but they’re colored with vegetable colorants instead of harmful food coloring like Yellow 5, Red 40, & Blue 1. Yuck, yuck, yuck. No bueno. 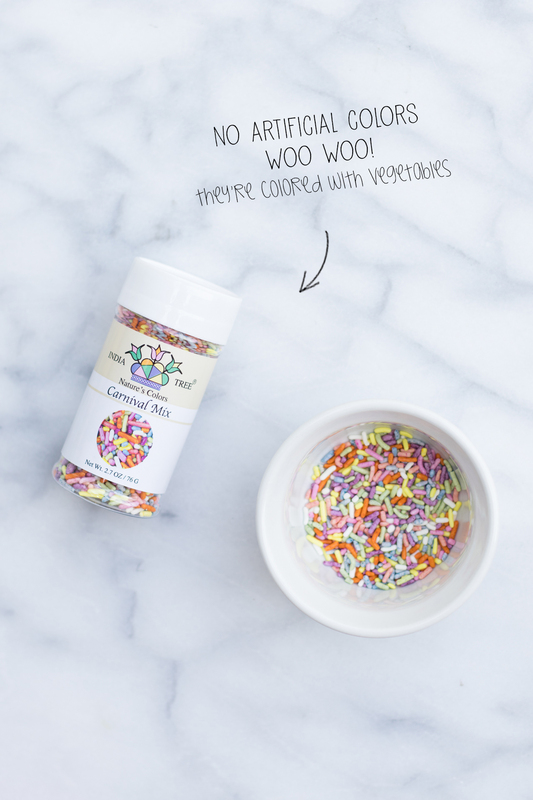 To get more specific, the sprinkles I used (India Tree sprinkles), are colored with turmeric, annatto, beet juice, vegetable juices, & beta carotene (which an organic, strongly colored red-orange pigment abundant in plants and fruits). 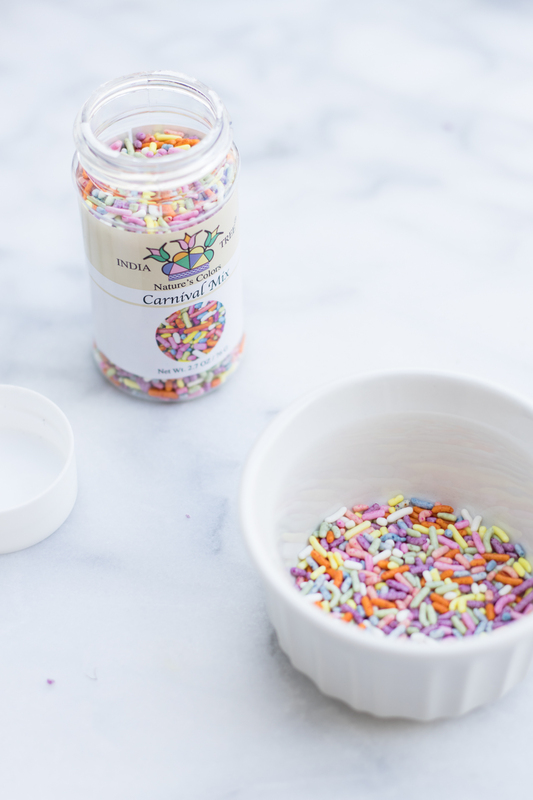 These are definitely my go-to sprinkles now. Preheat oven to 350° F and line two trays with baking/parchment paper. In a large bowl, mix together two cups Nutella and eggs. Add flour and stir until fully blended. The dough should be pretty thick. Scoop out a teaspoon of dough (I actually use a teaspoon, it makes it easier to get a round shape) and flatten it in your palm. Place on lined baking tray. Put a teaspoon of cold Nutella in center of cookie. Scoop out another teaspoon of dough, flatten it in your palm, place it over the Nutella and press the edges of the two cookies together, sealing them like ravioli. I like to stretch out the top cookie a little more than the bottom cookie so I get cracks on the top (see snapchats below) because it makes it easier for the sprinkles to stick to it. Bake for 6-7 minutes. Makes ~ 50-52 cookies. MMMM MMMM!! 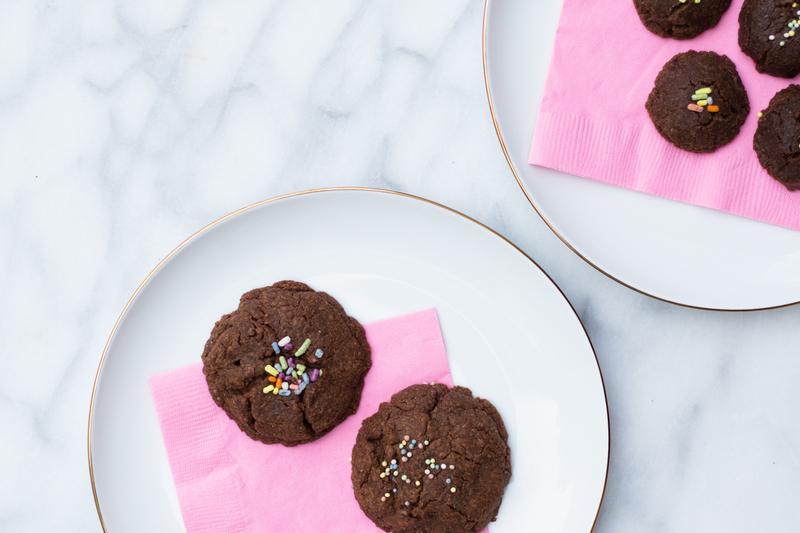 If you want to speed up the process you can also make larger cookies instead of a whole bunch of small ones (& bake them for 8-10 minutes). 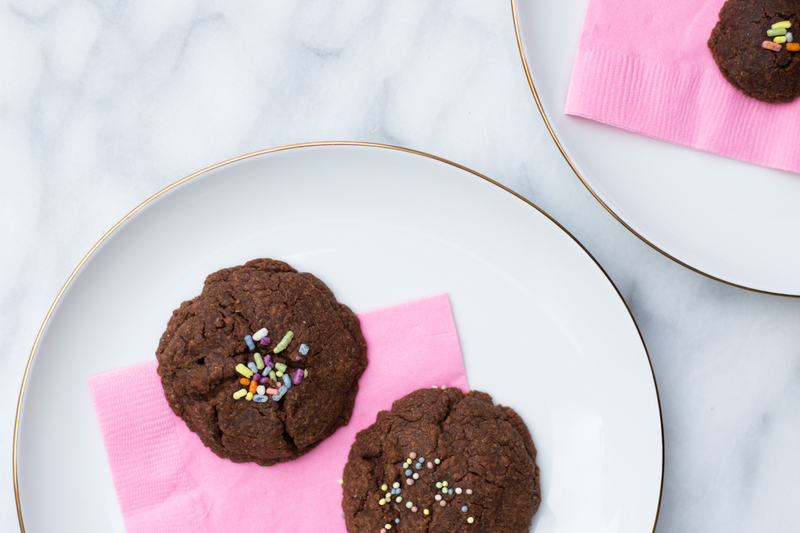 I was getting a bit antsy this year since I doubled the recipe, or maybe even tripled it, (I usually double it), so I also made some big cookies, which was kind of fun. The big ones are just as delicious & you get more cookie & Nutella in the middle. YUMMM!! Recipe adapted from Butter Baking. 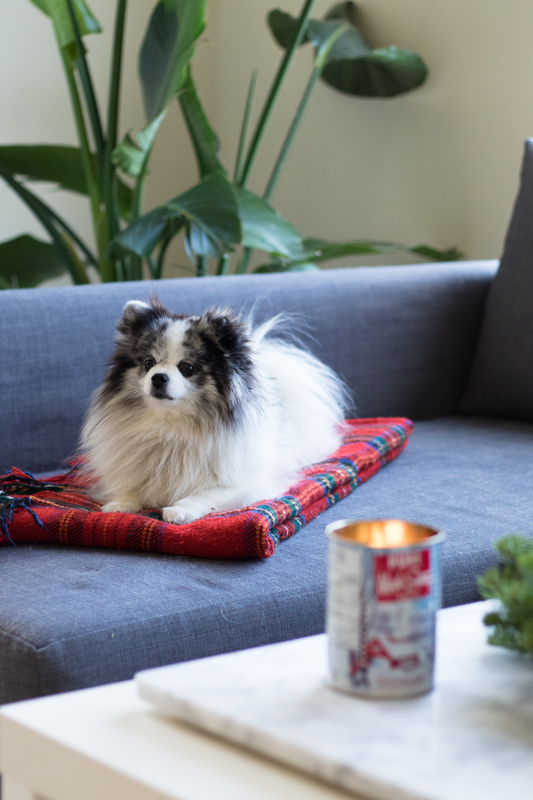 If you’re in a pinch & looking for some quick ways to make your place festive for the holidays, I’ve gotcha covered! 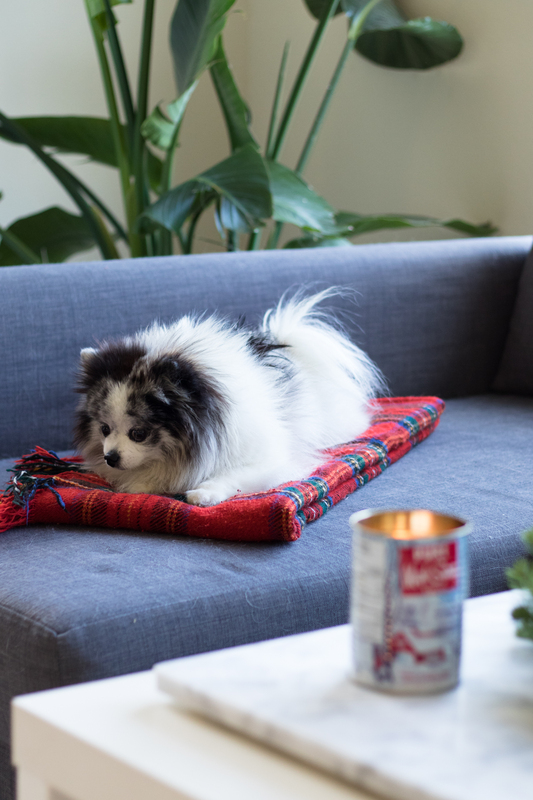 Obviously a Christmas tree will do the trick, but since Cubby started eating our indoor plant (the one in the pics below—it’s an outdoor plant now), we thought it’d be a good idea not to introduce another big tree into our place. 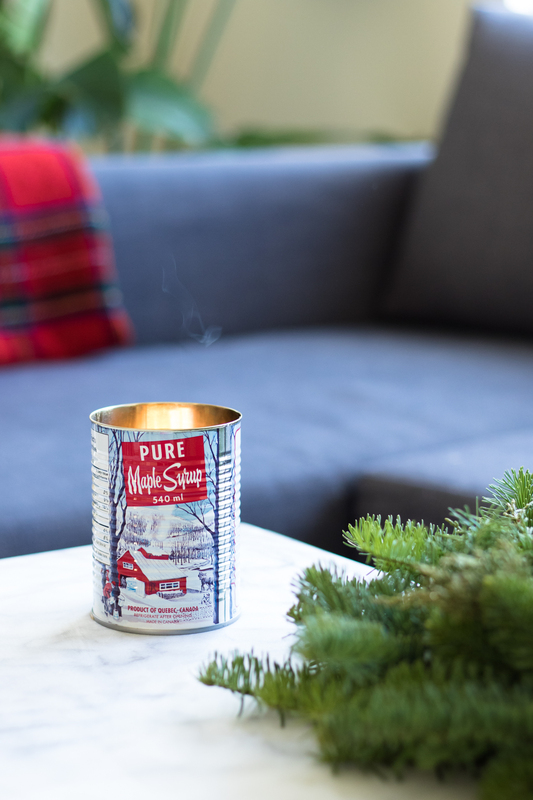 One of my favorite ways to get our place christmas-y has been with this pure maple syrup candle. It smells SO good. We got ours at Whole Foods but you can also buy them here. It has this really cozy, christmas feel to it. We’ve also been diffusing peppermint essential oil, which is really fun. It reminds me of candy canes. Another fun touch? Hanging a wreath outside, on your front door. I love this because it gives everyone a festive feel right before they walk in. Also, the dogs can’t get to it lol. WIN/WIN. & of course, Christmas music. We started playing Christmas music the night of Halloween—literally after we got back from taking the kids (my niece & nephew) trick-or-treating lol. Crazy, right? Anyone else start super early? Oh & our new dot has made this super easy. Alexa’s fun. 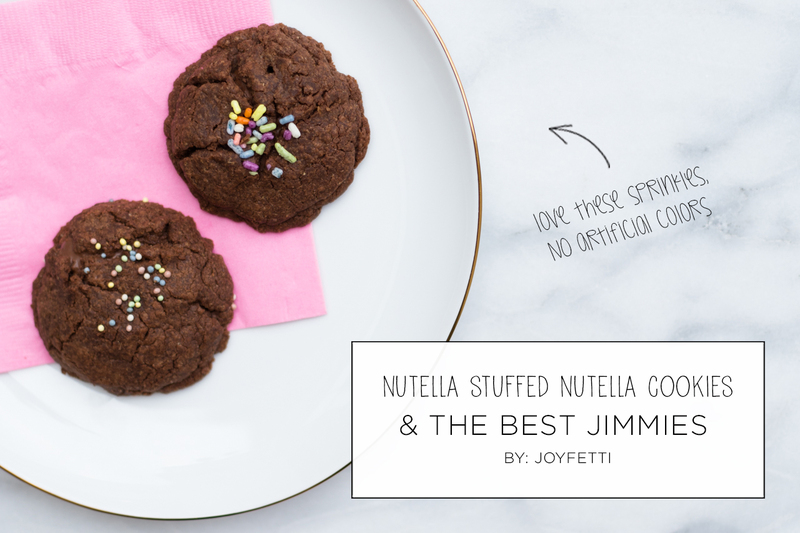 And if you’re looking for a fun recipe, try these nutella-stuffed nutella cookies. I’ve been making them for the past 3 years & they’re always a big hit. They taste like little nutella brownies. Give them a try & let me know what you think. 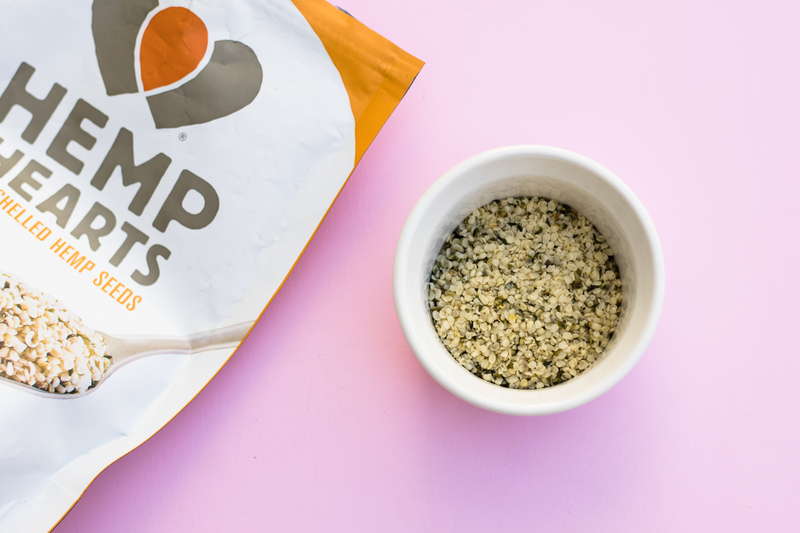 Pick up a bag of hemp seeds, flip it over & read the nutrition facts on the back—it’s NUTS. Hemp seeds are literally FULL of protein & fiber. 3 tbsp of hemp seeds (shelled—I get these) provide 10g of protein & 3g of fiber, which is 11% of your daily recommended fiber. To put things in perspective 1 hard-boiled egg = 6g of protein. & on top of that, it’s a COMPLETE PROTEIN! A complete protein contains all 9 essential amino acids that our bodies can’t produce on their own & needs to get from our diet. 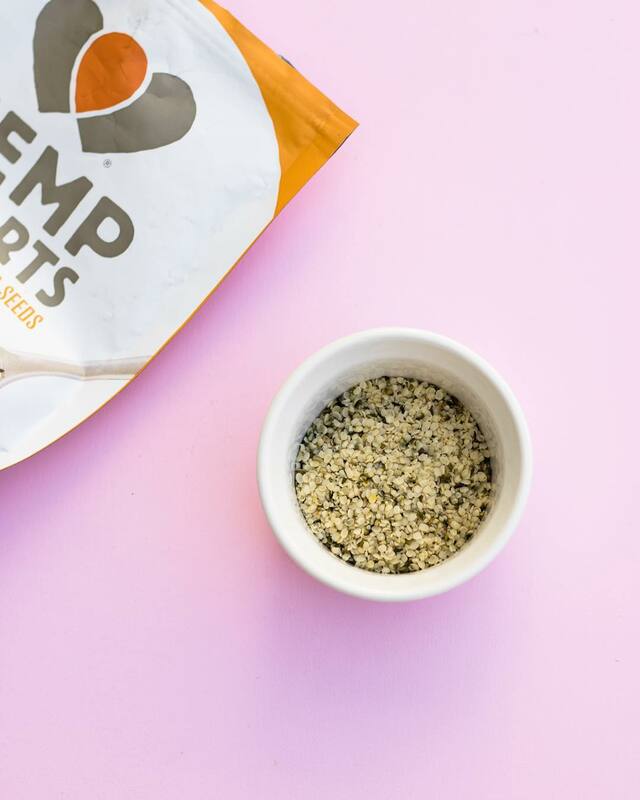 This is cool, because all animal sources of protein are complete proteins, but many plant sources aren’t—so we love that hemp seeds are a complete protein! & 45% of your daily recommended phosphorus. Speaking of nuts… That’s kind of it’s flavor. 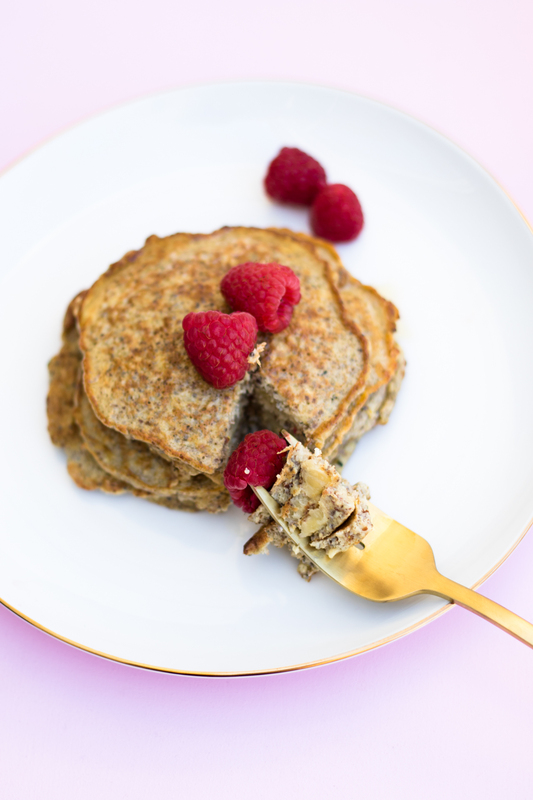 It has a buttery-nutty flavor to it, & it’s SO good. 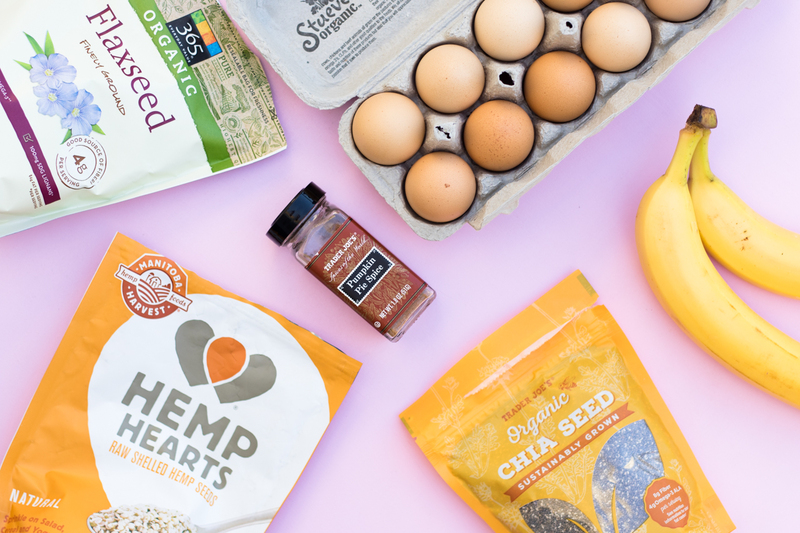 Those are some of my favorite ways to have hemp seeds, but you can obviously add them to anything & everything you’d like! They’re very versatile. It’s like a healthy, nutty sprinkle. It’s so good!